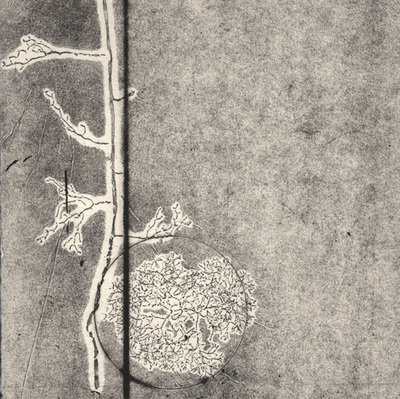 Externally in, intaglio print, 2018. 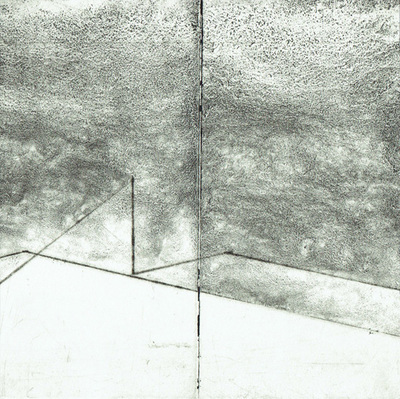 Finalist in the Swan Hill Print and Drawing Acquisitive Awards, Swan Hill Regional Gallery. 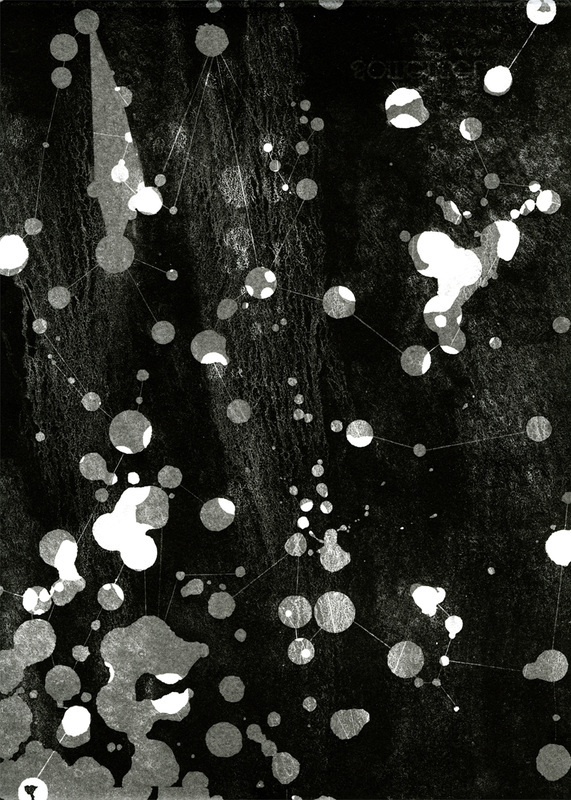 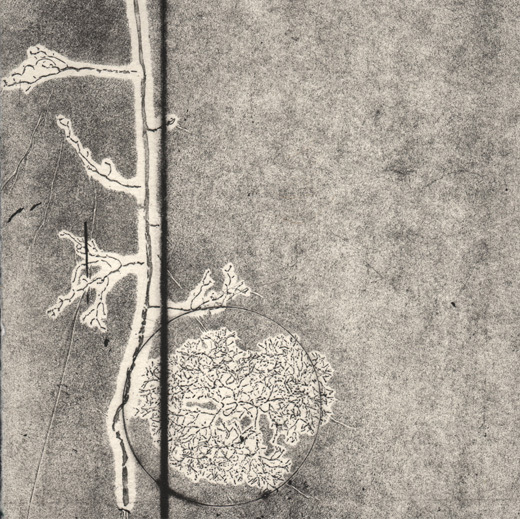 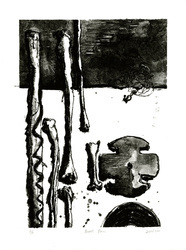 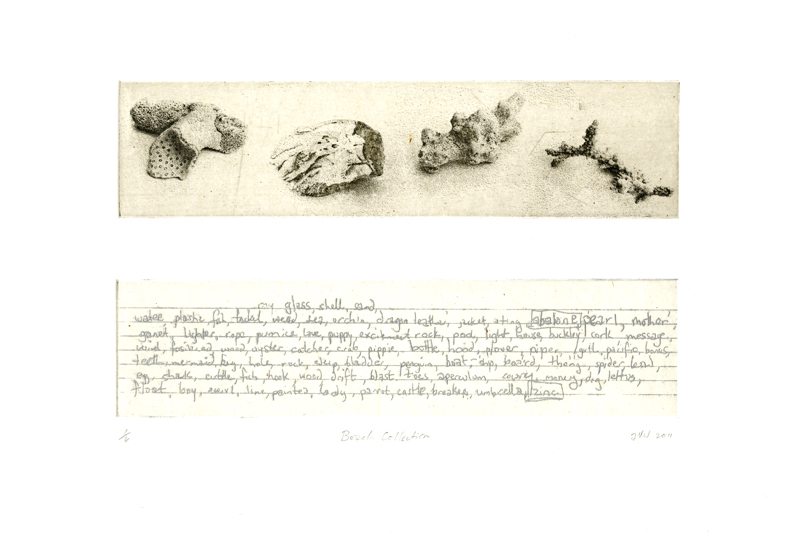 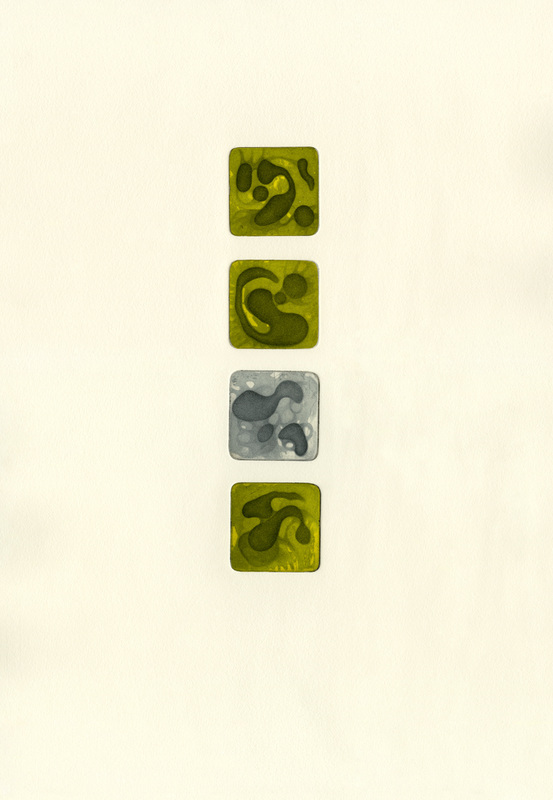 ​Dowsing; intaglio and relief print; unique state; image size 25x25cm; 2018. 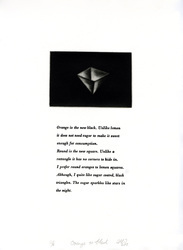 Authentic Marks Exhibition, Shaghaf Group, Dubai, catalogue page 15. 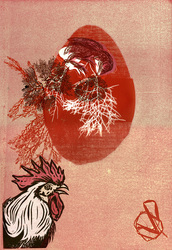 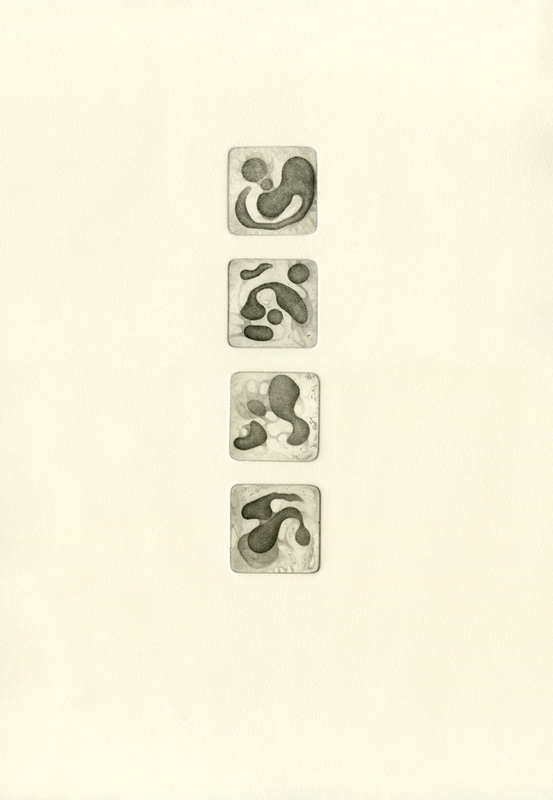 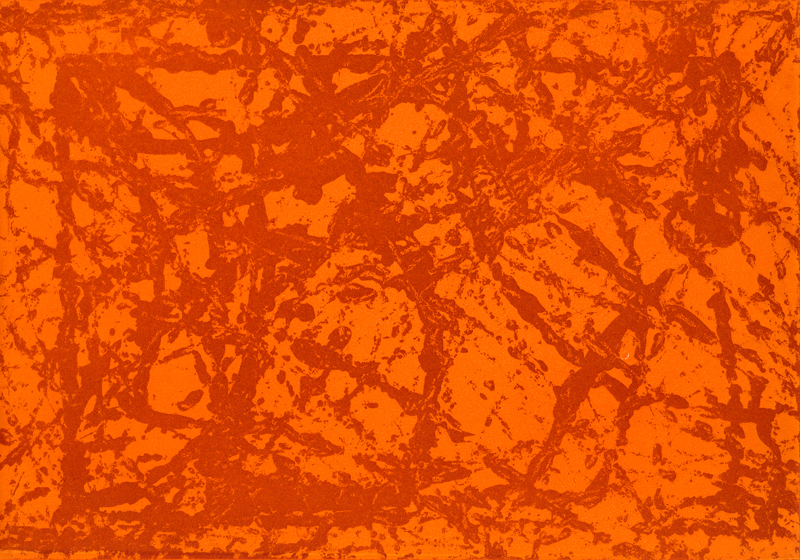 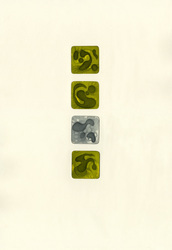 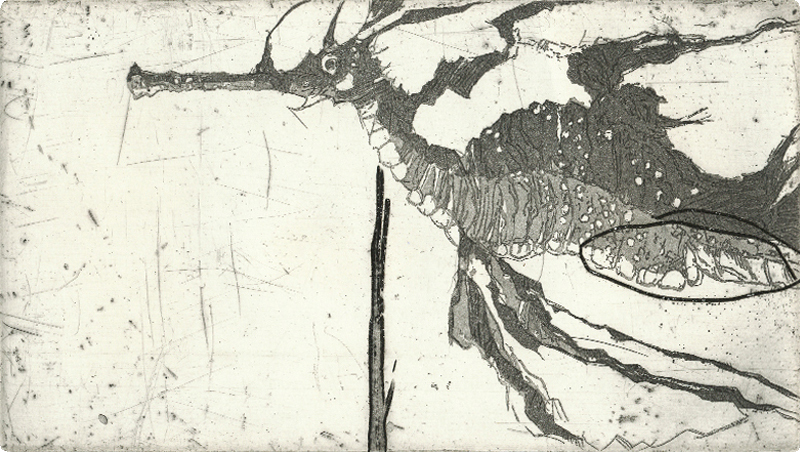 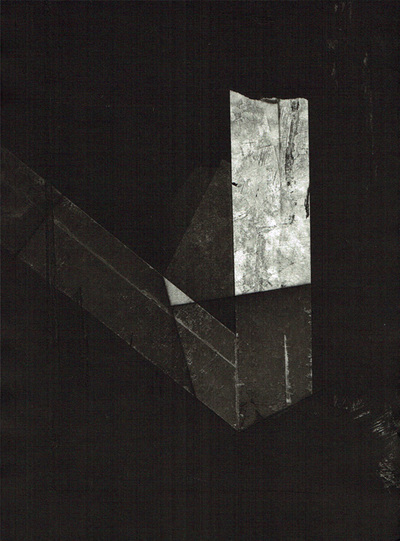 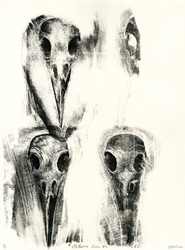 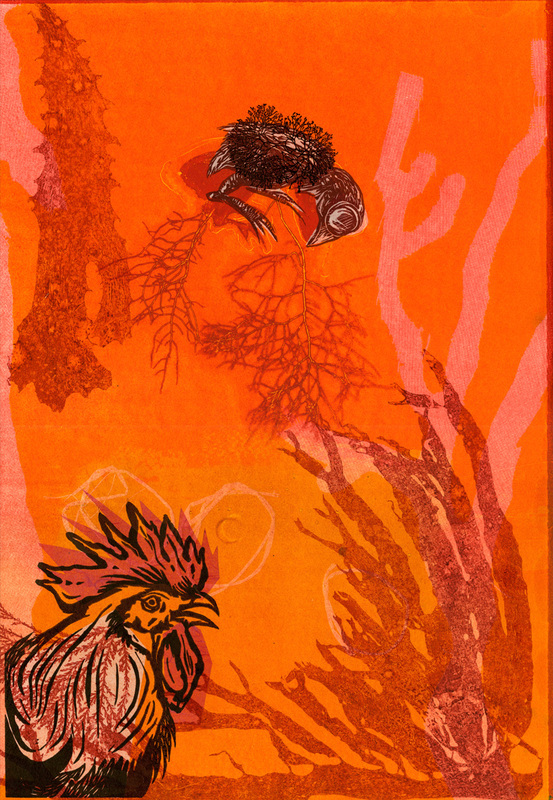 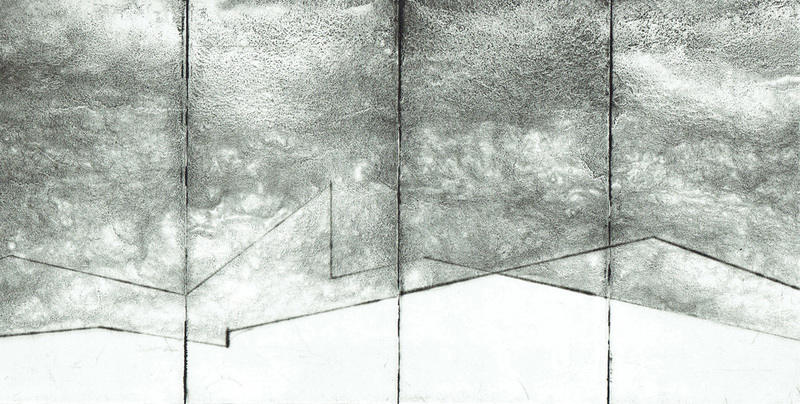 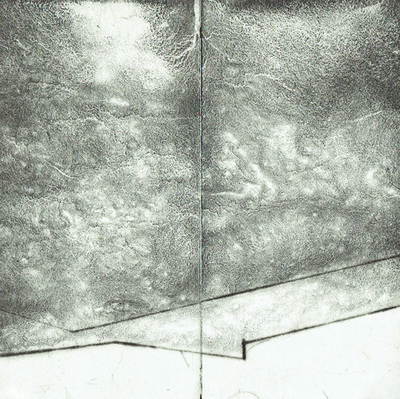 </> (more or less), intaglio and relief print, 28 x 19 cm. 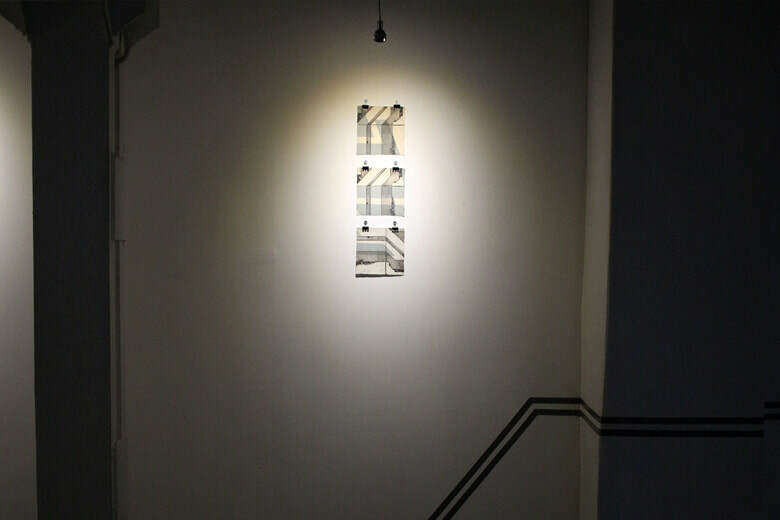 Shades of Grey 17 August - 24 September 2017. 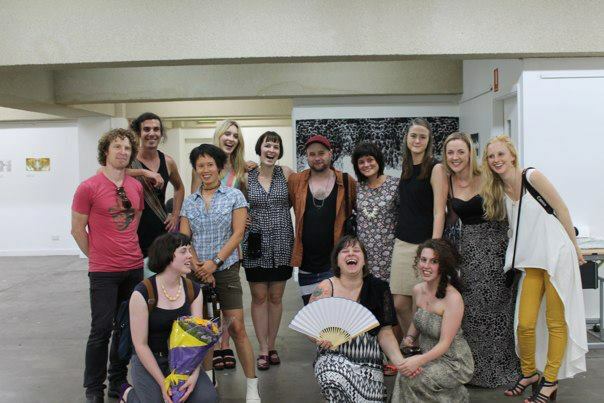 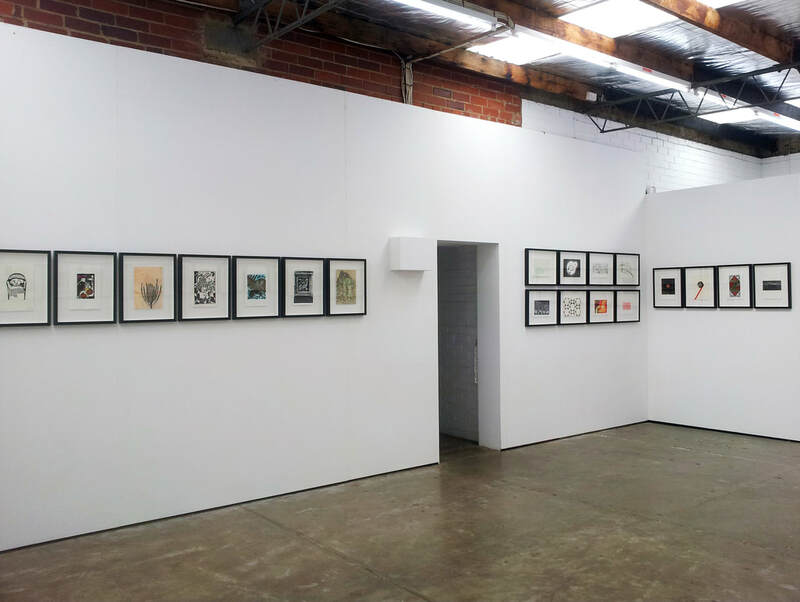 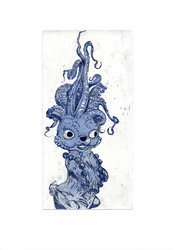 ​ Tacit Art galleries, 123a Gipps Street Collingwood. 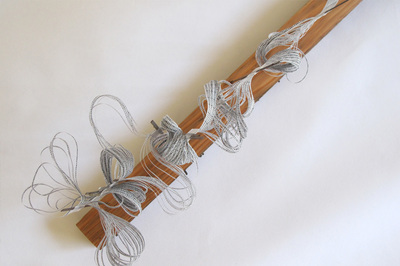 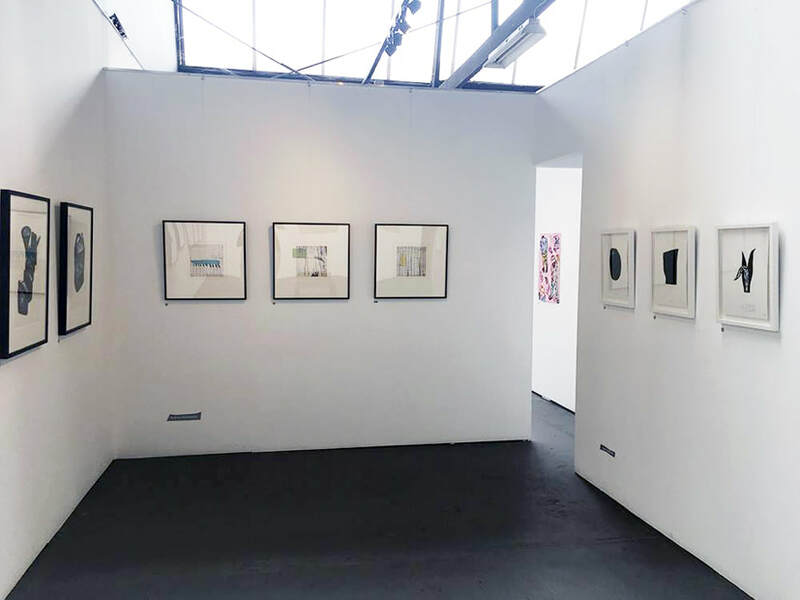 The selected artists appearing in Shades of Grey have diverse practices and use disparate media, yet all work falls within non-object and abstract parameters. Icelandic swimming, reduction linocut with metallic pigments. 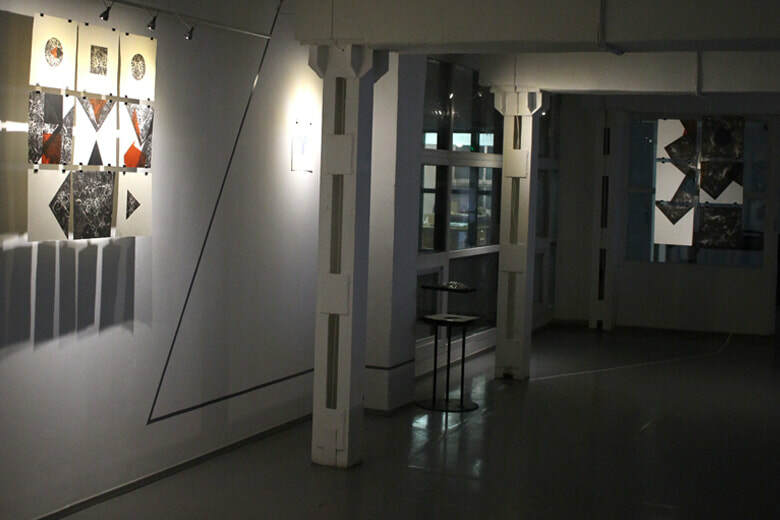 ​Linoollõikekonkursi näitus / Linocut contest exhibition – Print and Paper Museum Gallery at Kastani 48f, Tartu, Estonia. 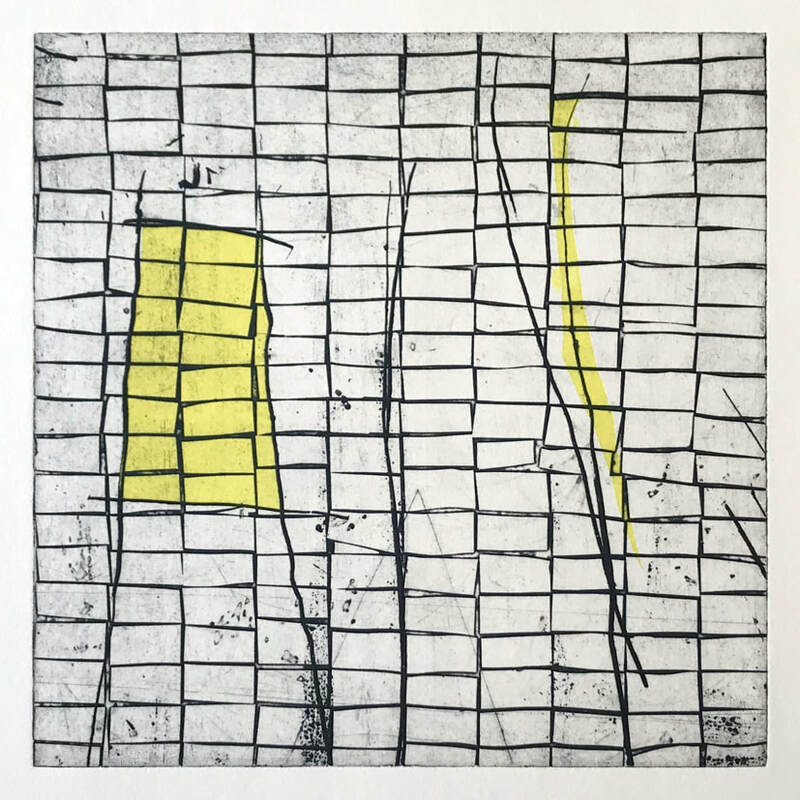 ​​Climb; intaglio and relief print; unique state; image size 25x25cm, paper size 43x43cm, frame size 60x60; 2017. 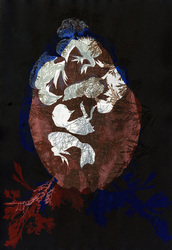 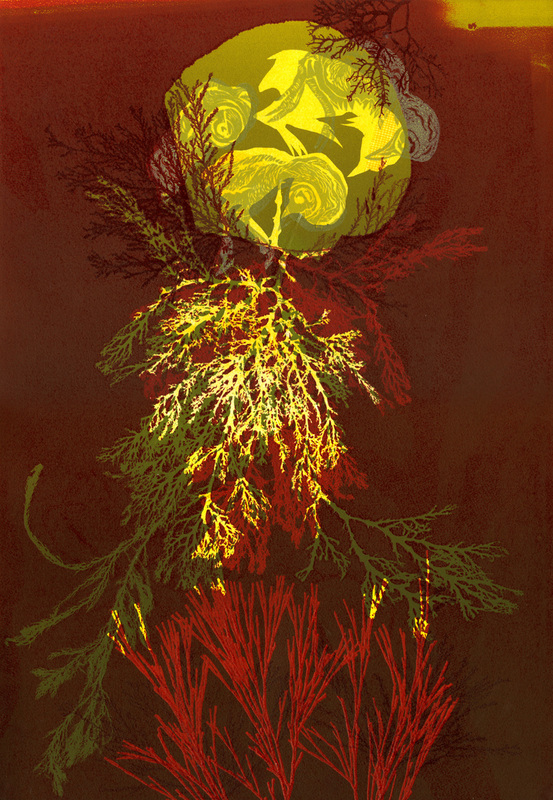 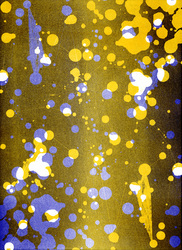 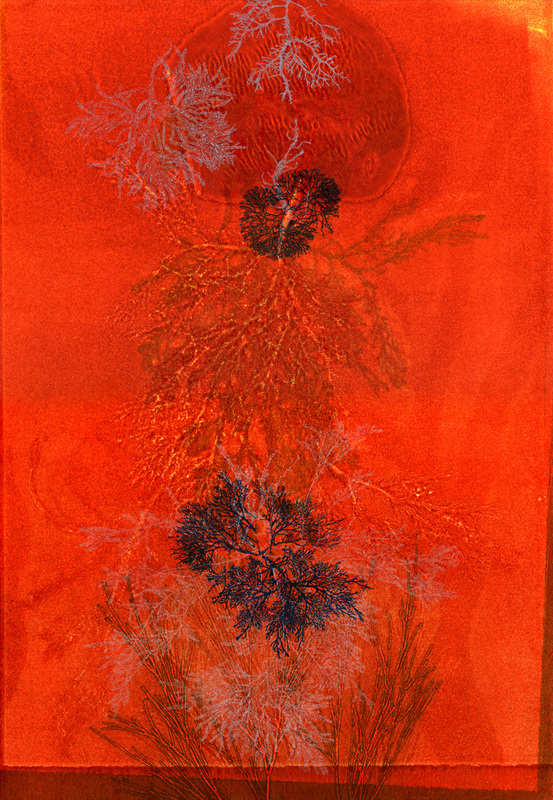 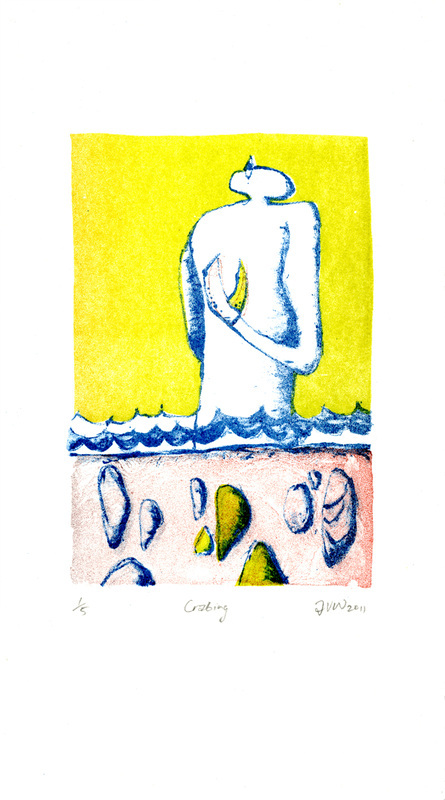 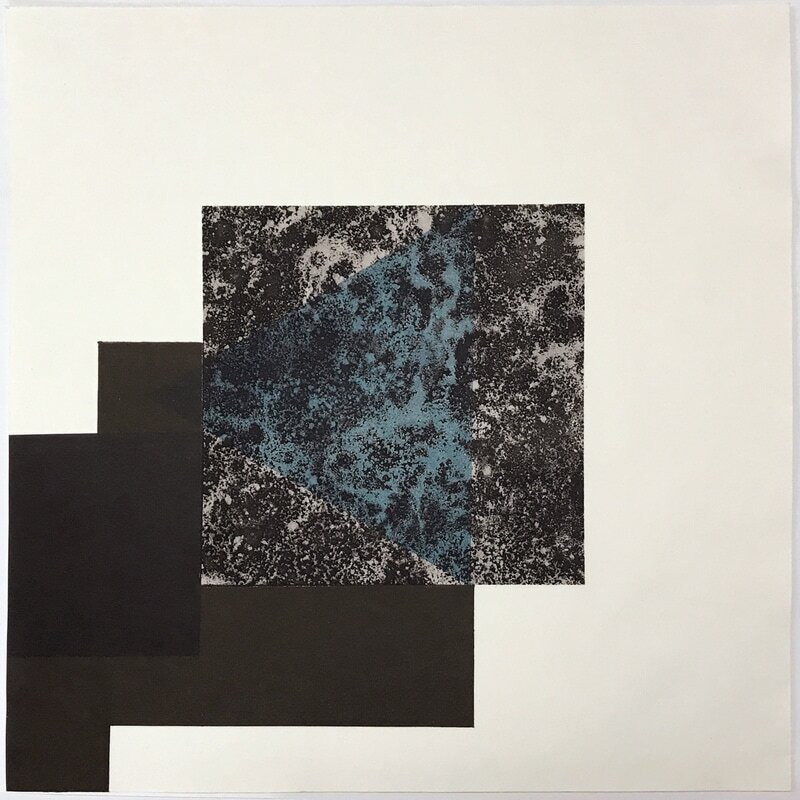 Swim; intaglio and relief print; unique state; image size 25x25cm, paper size 43x43cm, frame size 60x60; 2017. 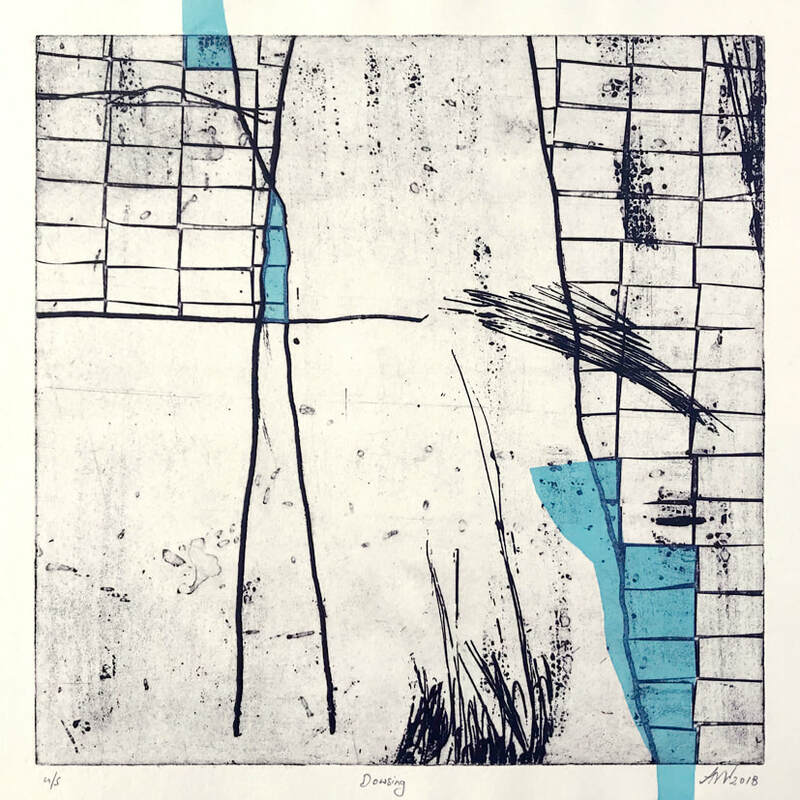 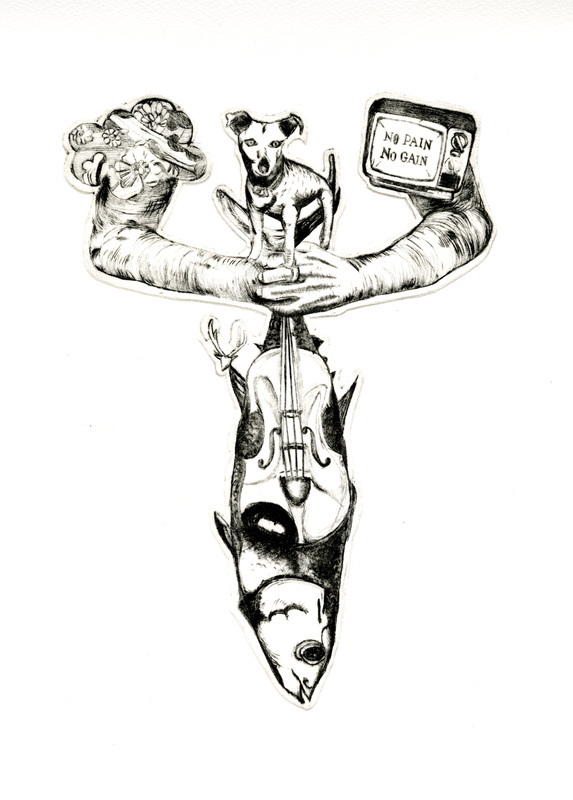 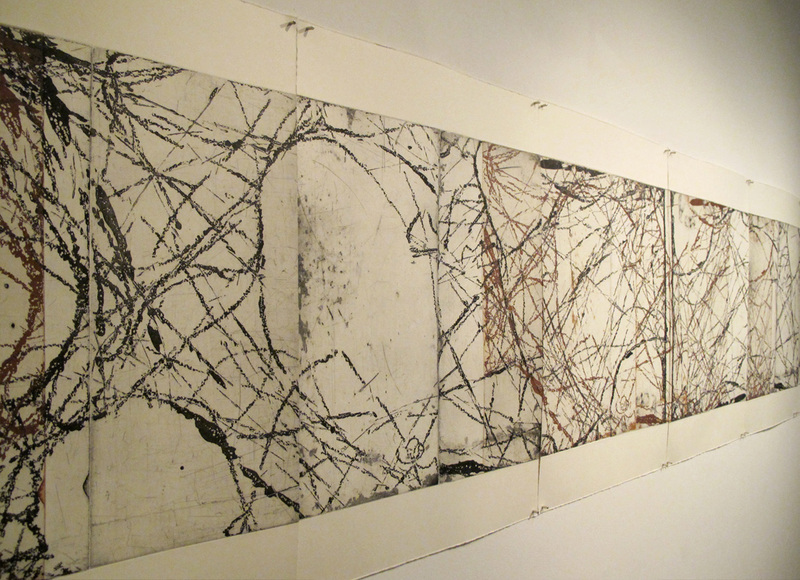 Plough; intaglio and relief print; unique state; image size 25x25cm, paper size 43x43cm, frame size 60x60; 2017. 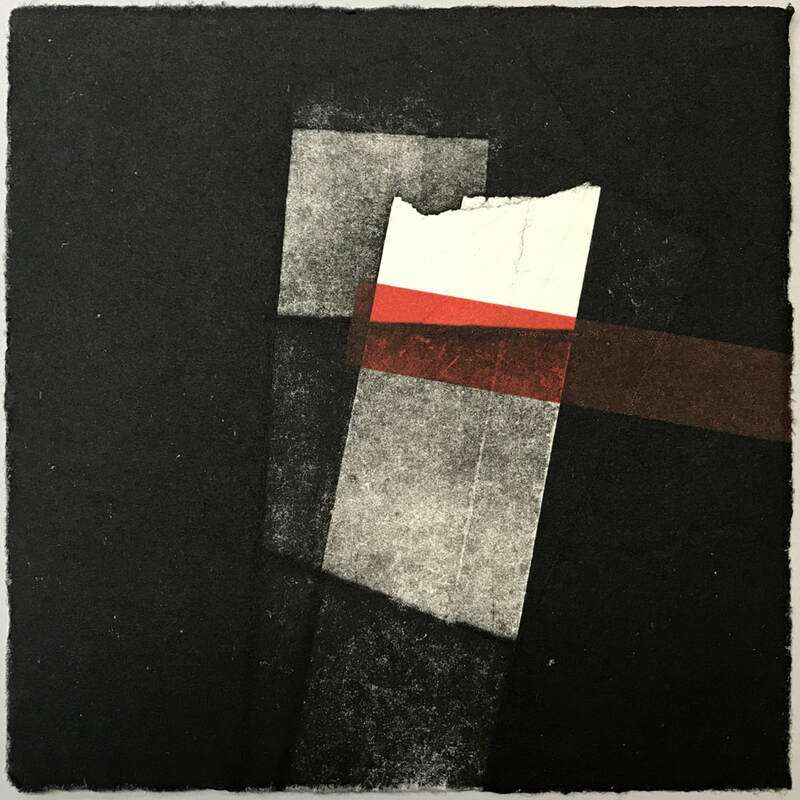 ​Prostsess I, 2017; tusche etching, aquatint, intaglio and relief print; 28cm x 28cm print; unique state; framed, 32cm x 32cm. 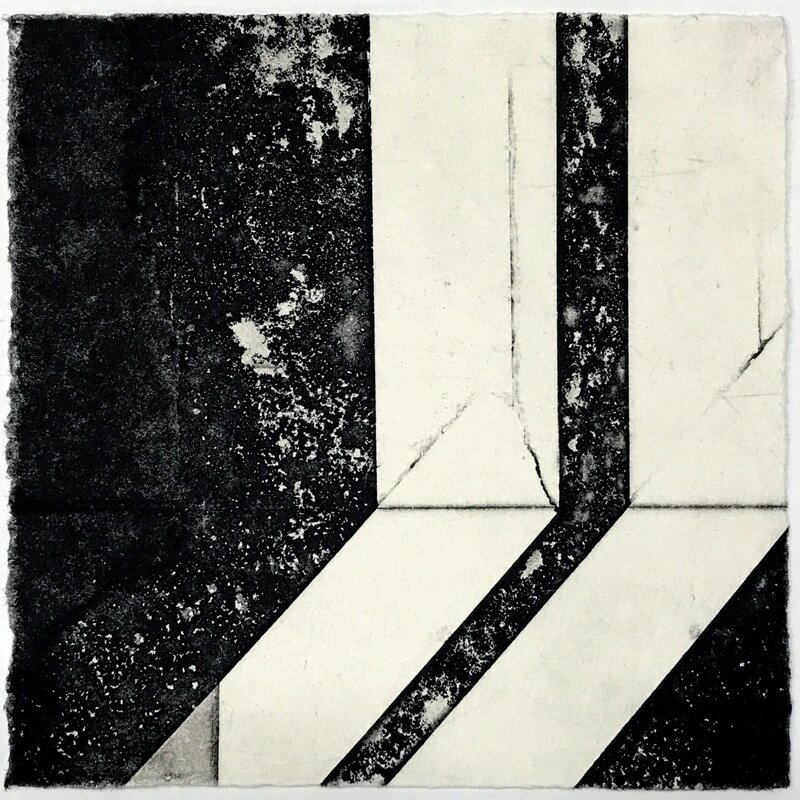 Intersections I, II & III, (aquatint & drypoint, intaglio, relief stencil), 2017. 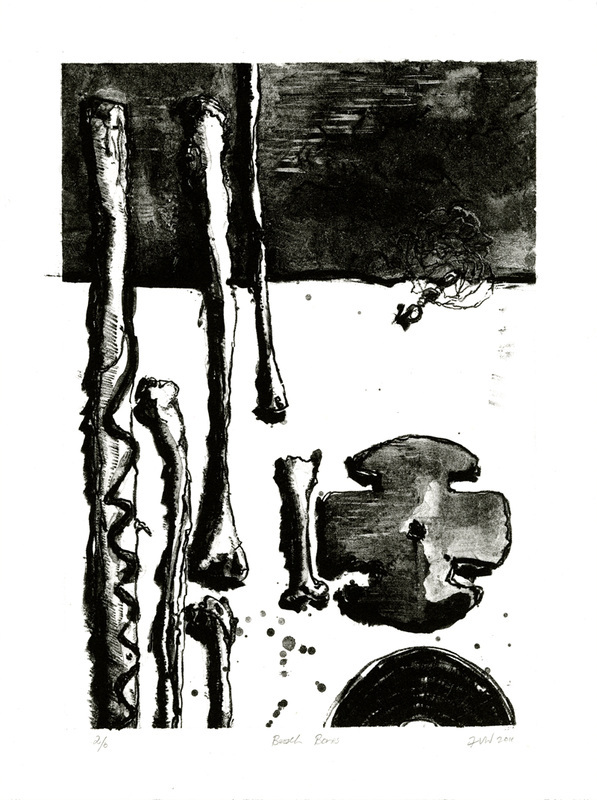 Tu Nite, (tusche etching, aquatint, intaglio), 2017. 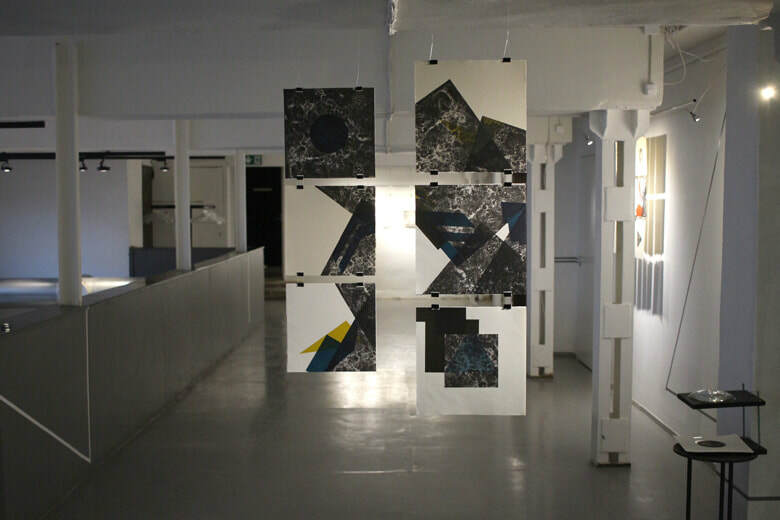 ​Estonian residency 2017 the investigation of lines, space and process at Trükimuuseum, Tartu, Estonia. 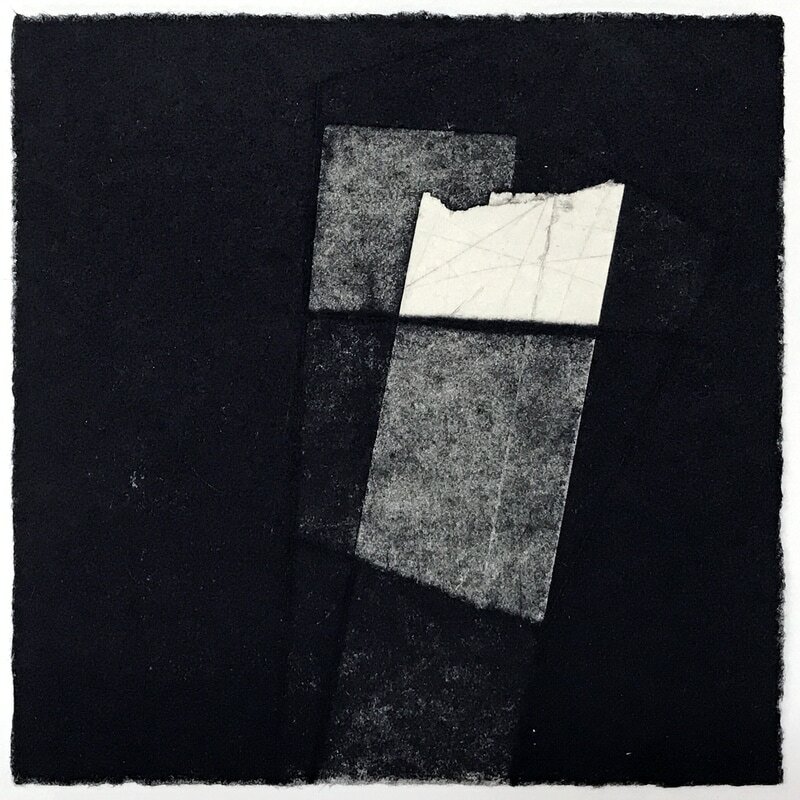 Folded up, (aquatint, intaglio & drypoint), 2017. 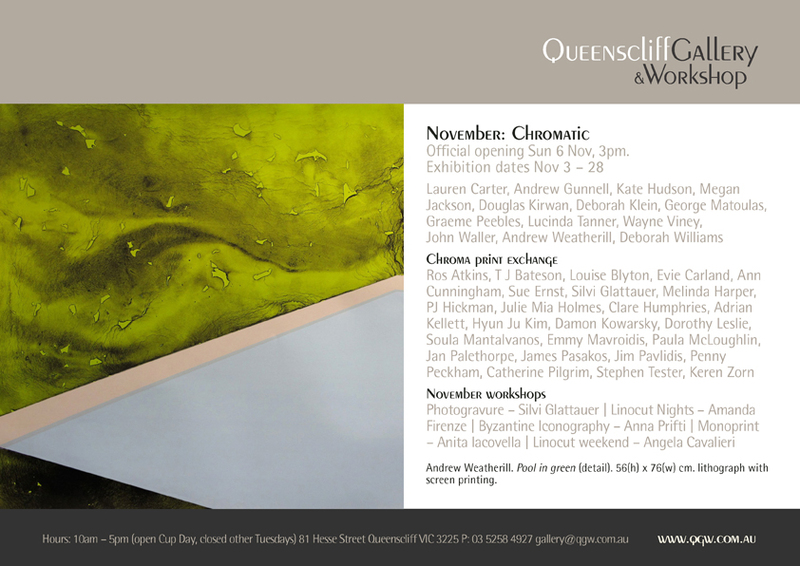 Exhibition Dates: October 5 to 31. Lettered print exchange. 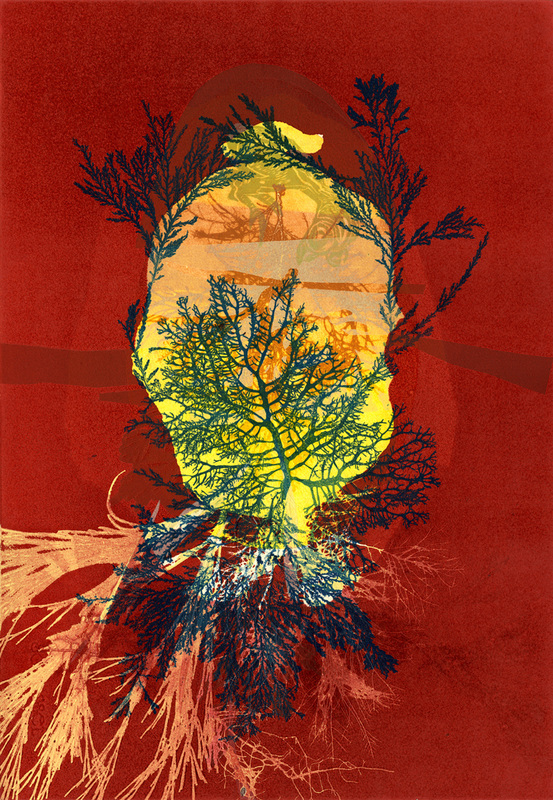 Part or the 2016 Queenscliffe Literary Festival. 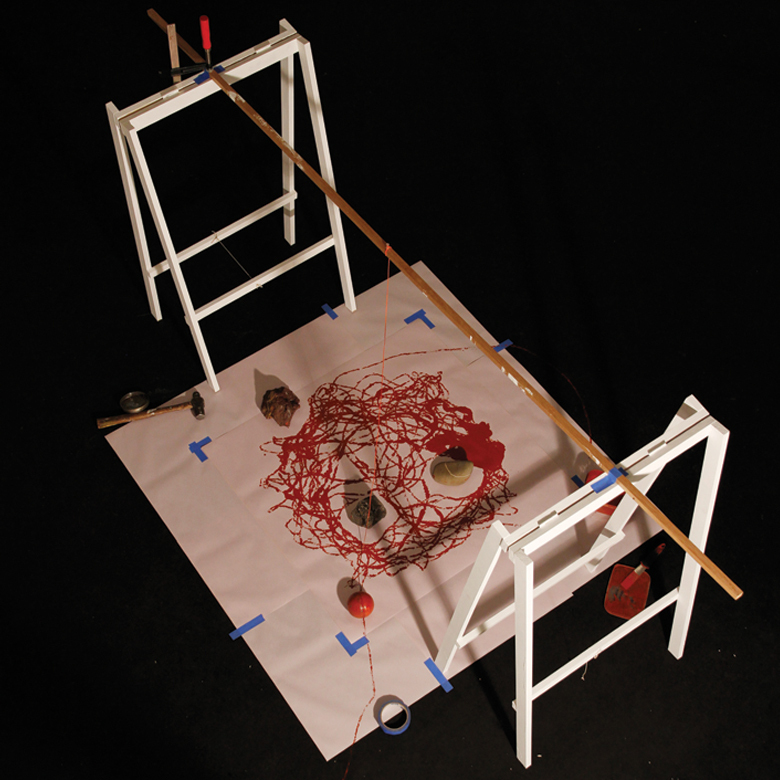 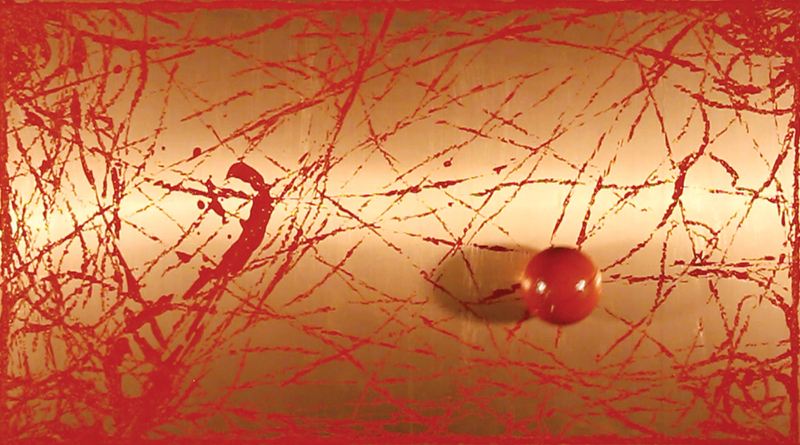 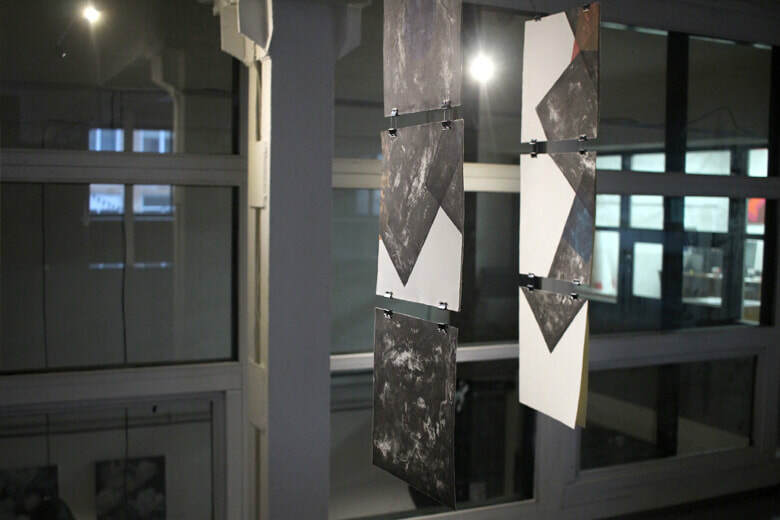 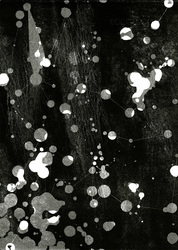 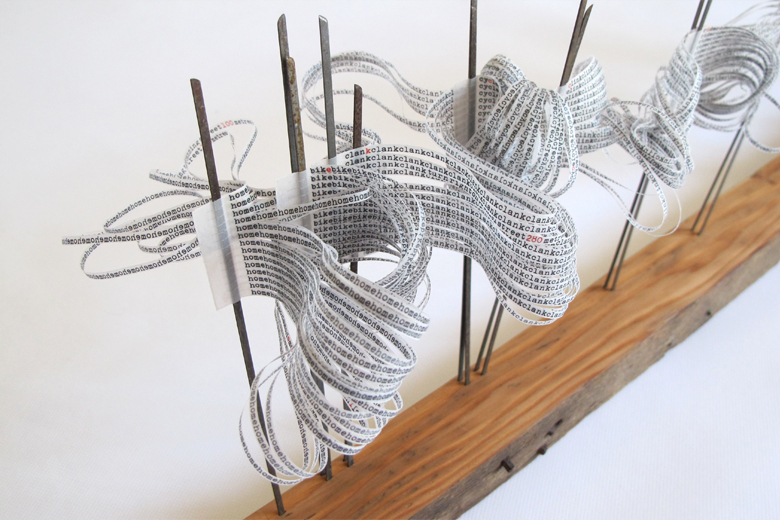 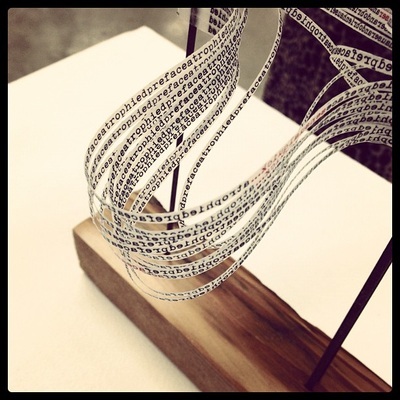 Between and Beyond explores links between the body, architecture and the object. 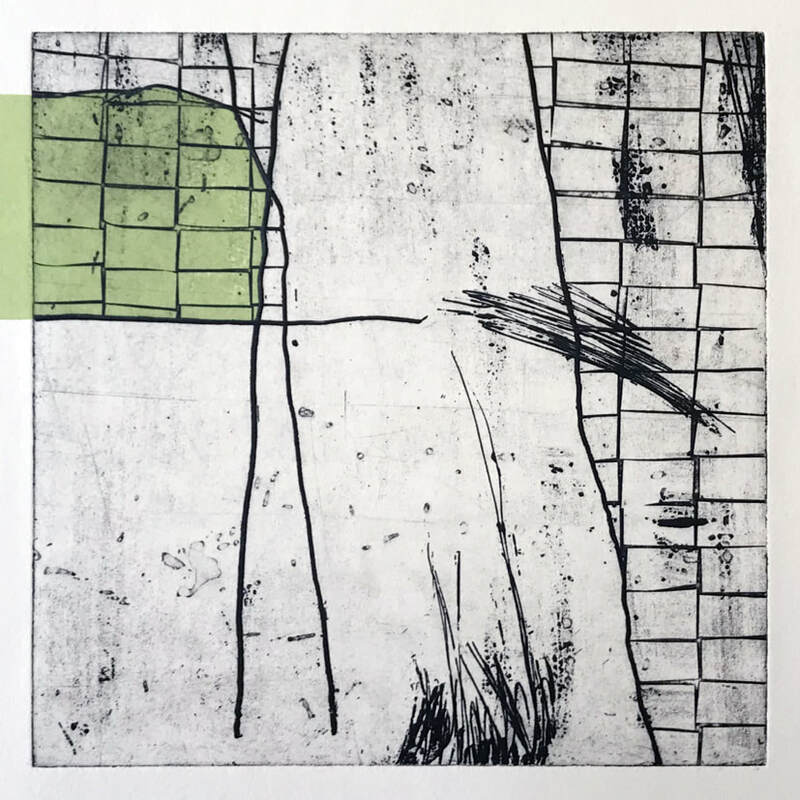 It considers the body as the landscape where the architecturally inspired work is sited and connects to its surrounds. 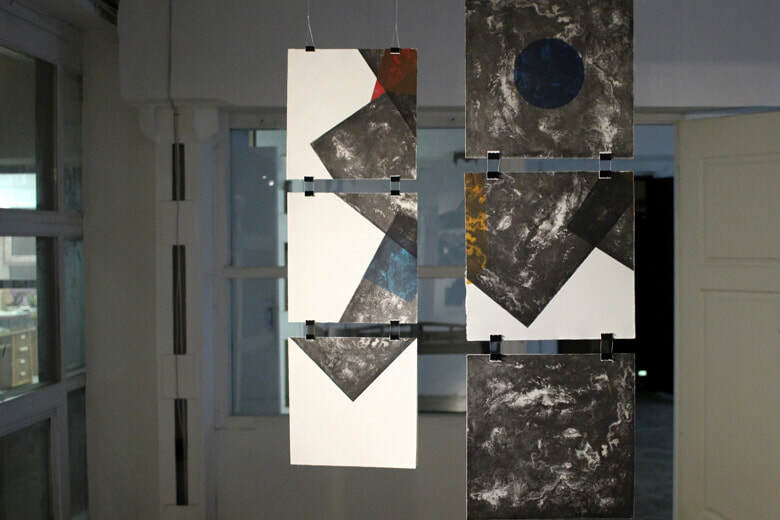 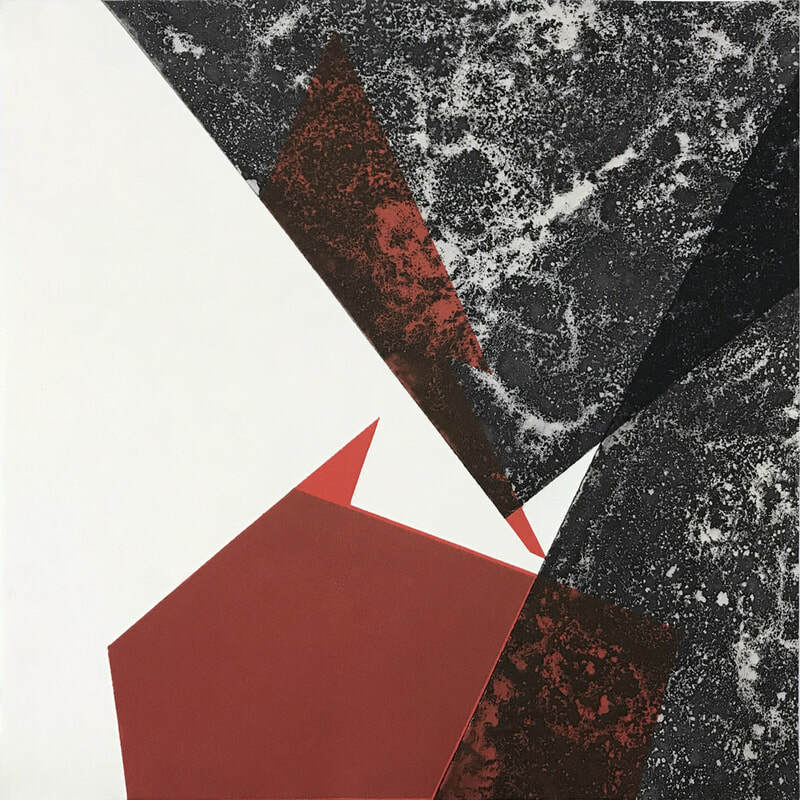 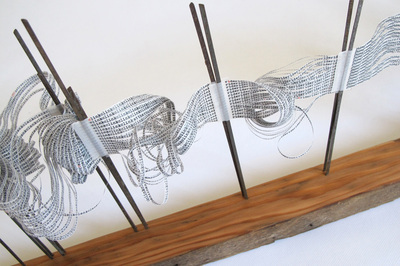 Justine Austen and Andrew Weatherill create artwork that explores the relationship between man-made forms and environment. 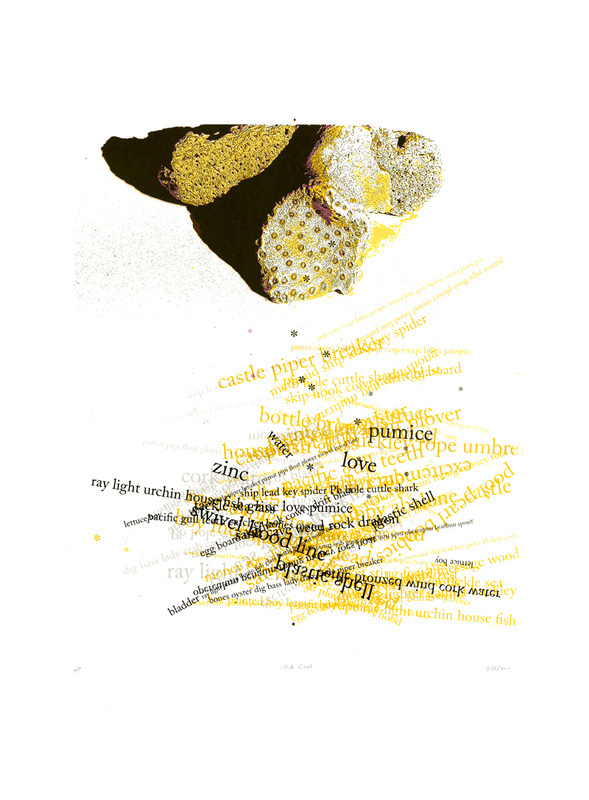 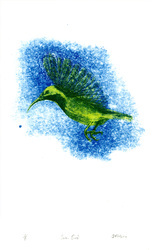 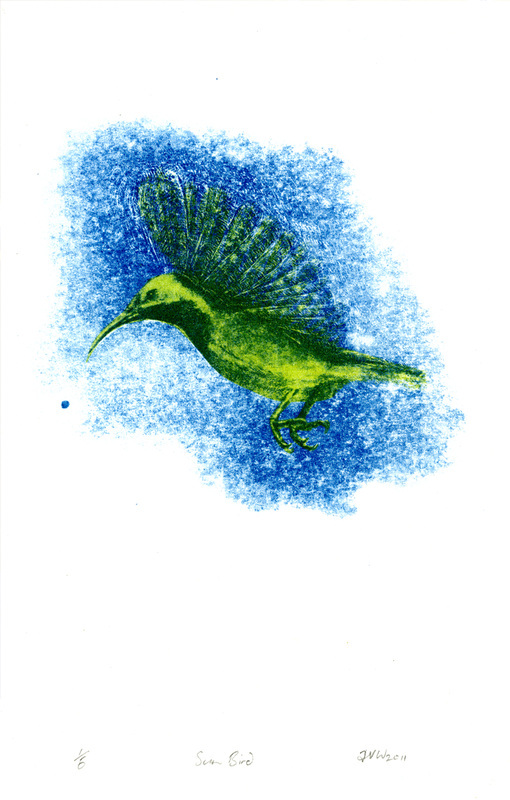 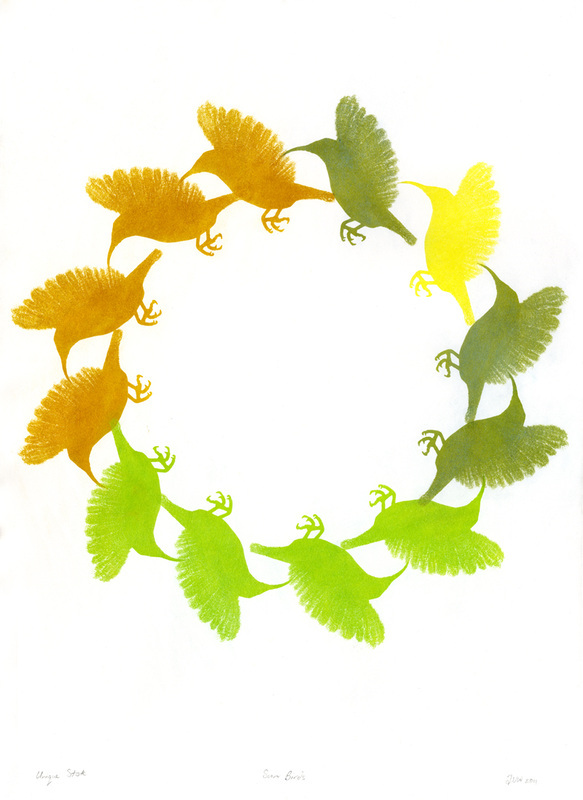 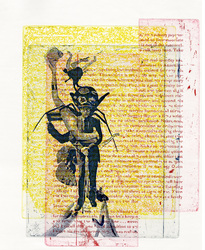 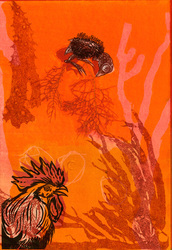 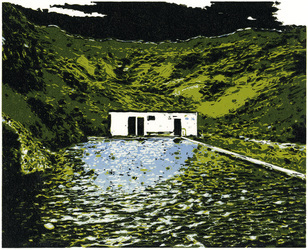 Austen is a contemporary jeweller and Weatherill has trained in fine art printmaking. 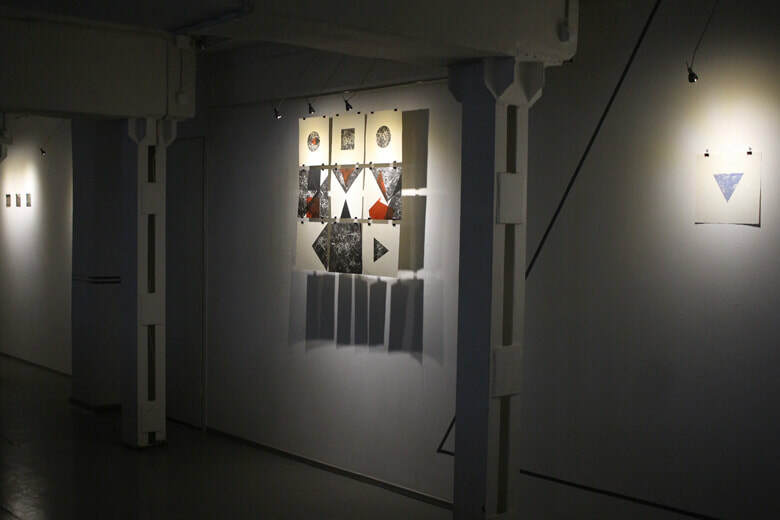 Their artworks attempt to push the boundaries of these traditional art practices through the building of interactive installations and virtual environments. 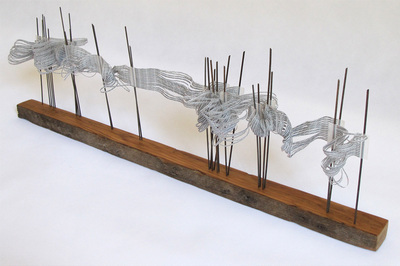 Off the Kerb http://www.offthekerb.com.au 2015. 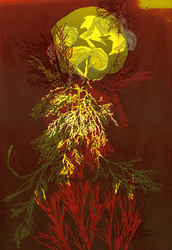 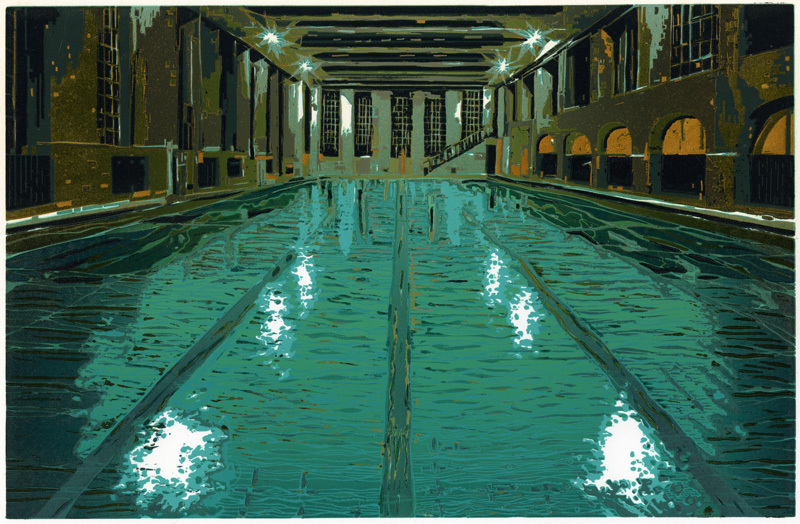 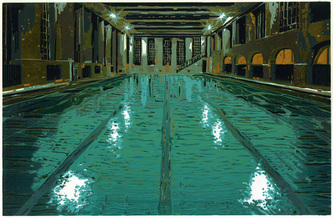 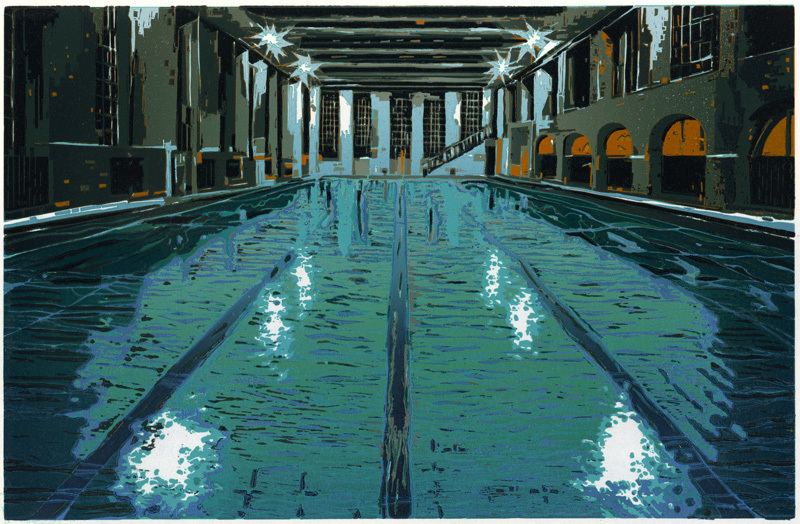 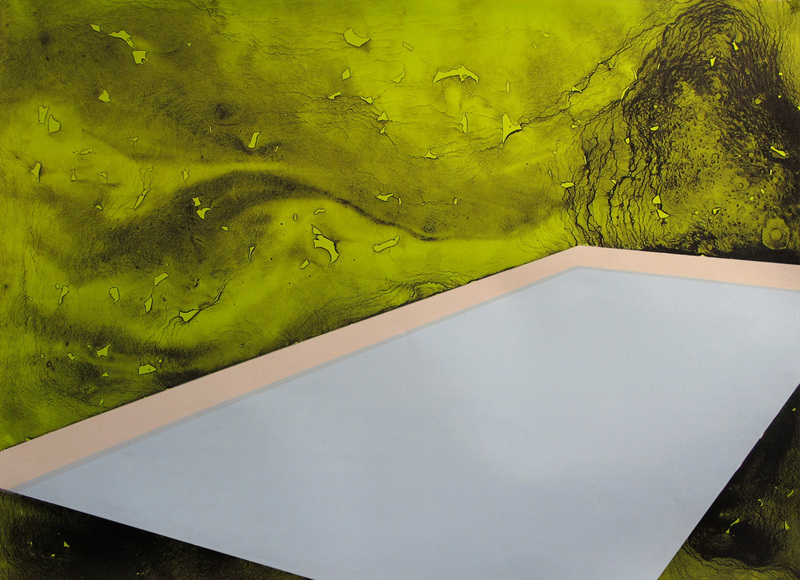 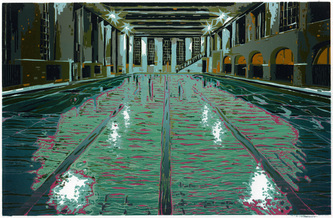 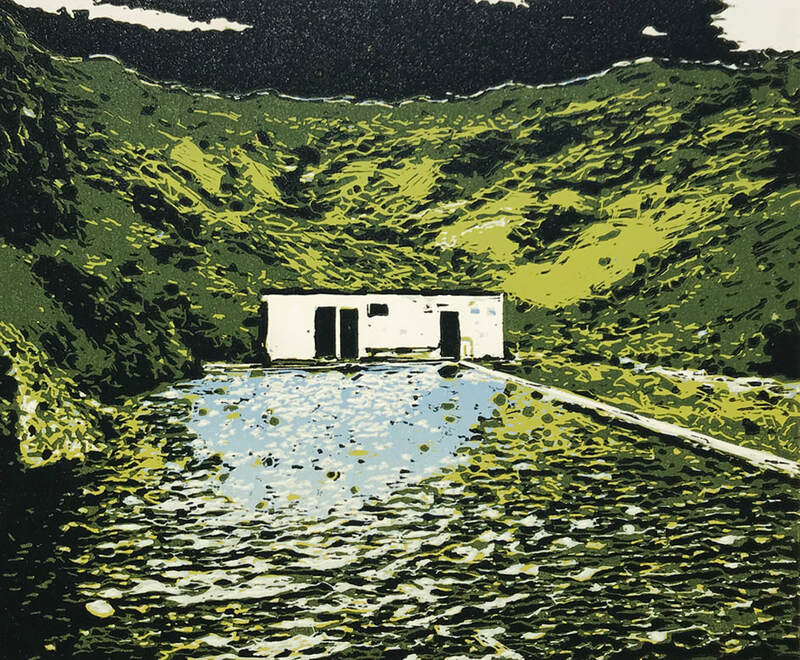 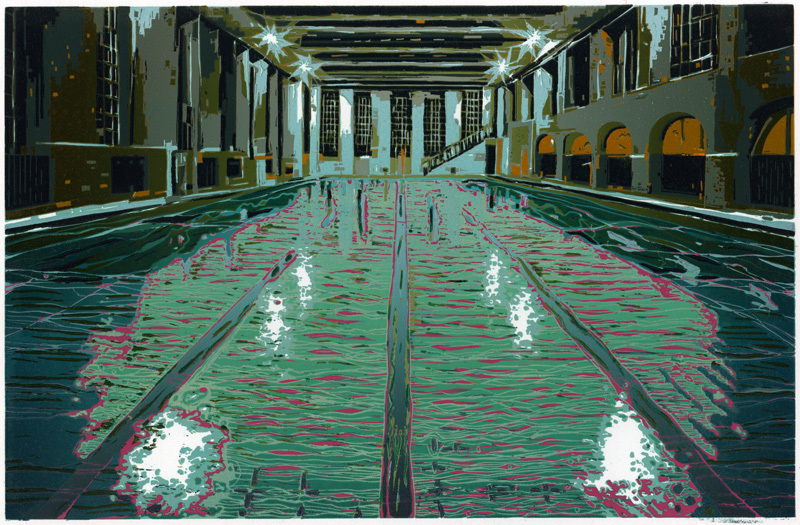 Pool in green, 2014, lithograph with screen printing, 560mm (h) x 760mm (w). 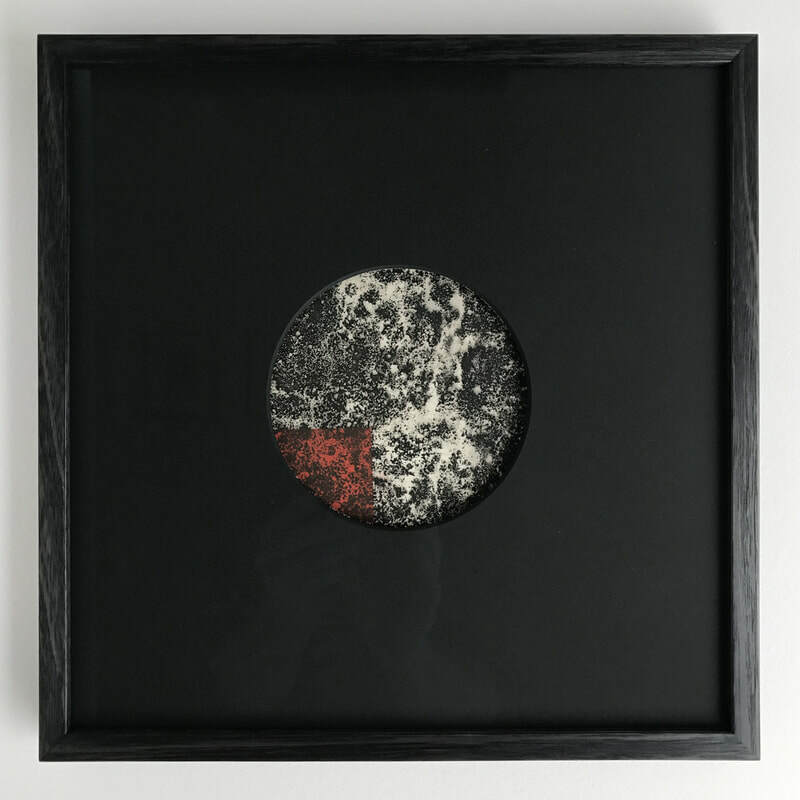 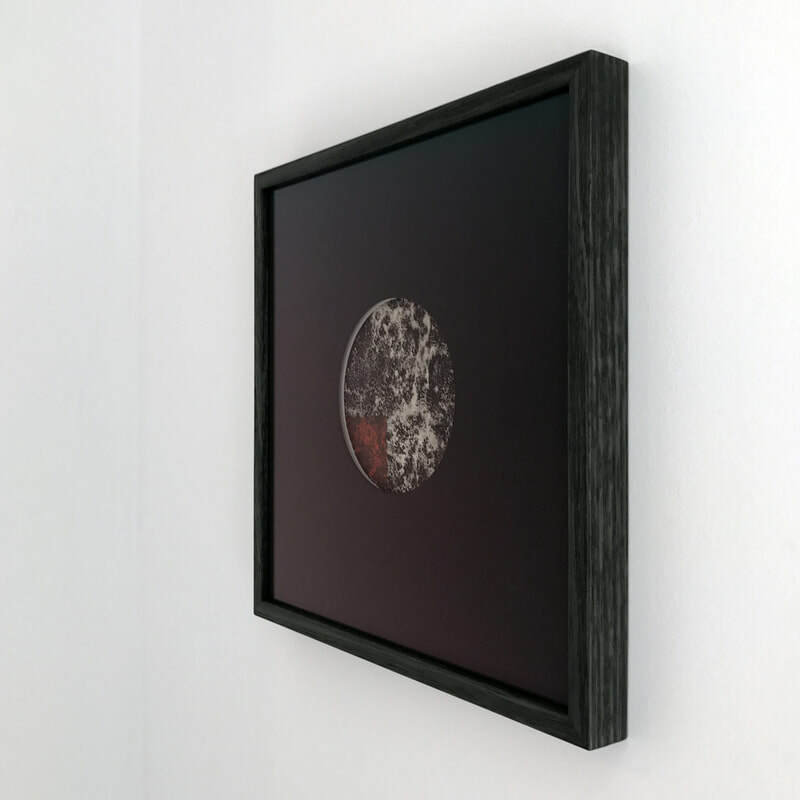 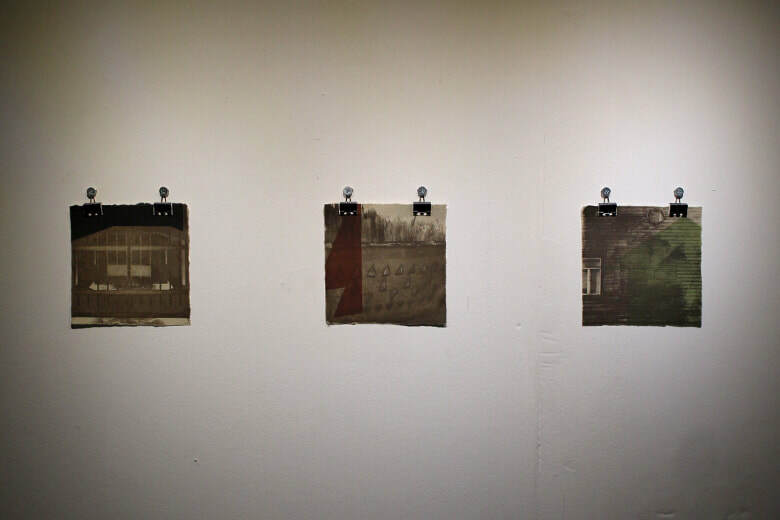 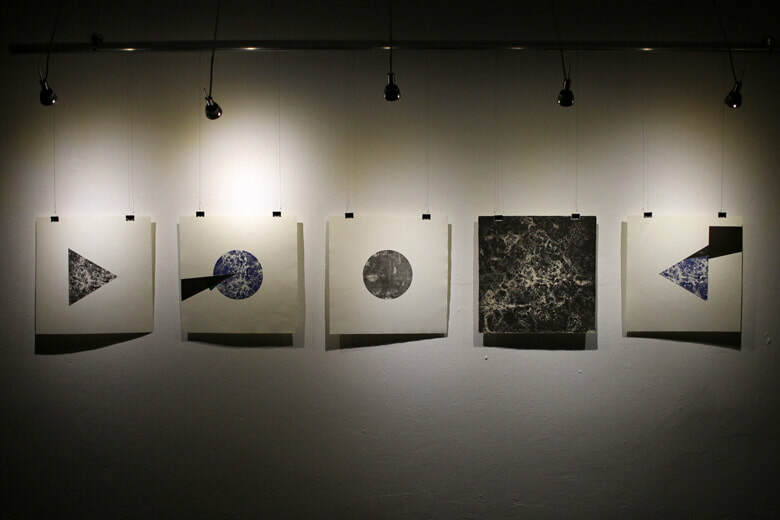 Parallel Visions an exhibition exploring the ephemeral nature of looking, (tusché etching, intaglio and relief print, with photographic lens), 2017. 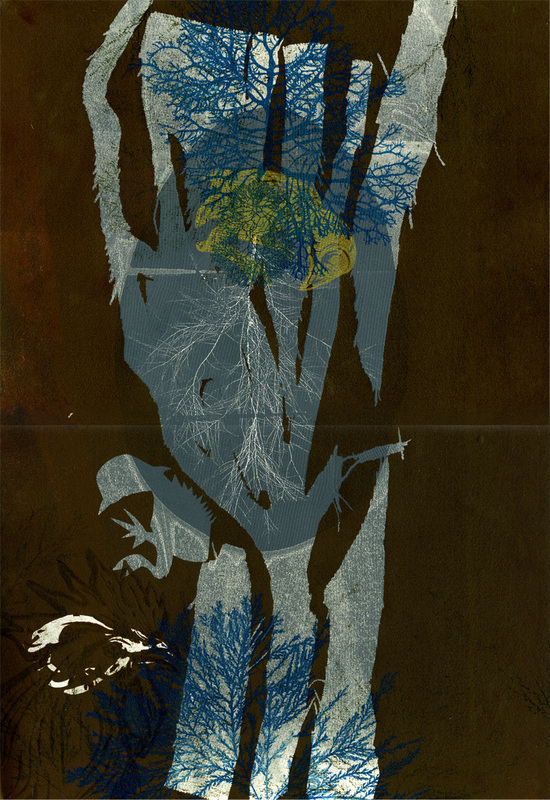 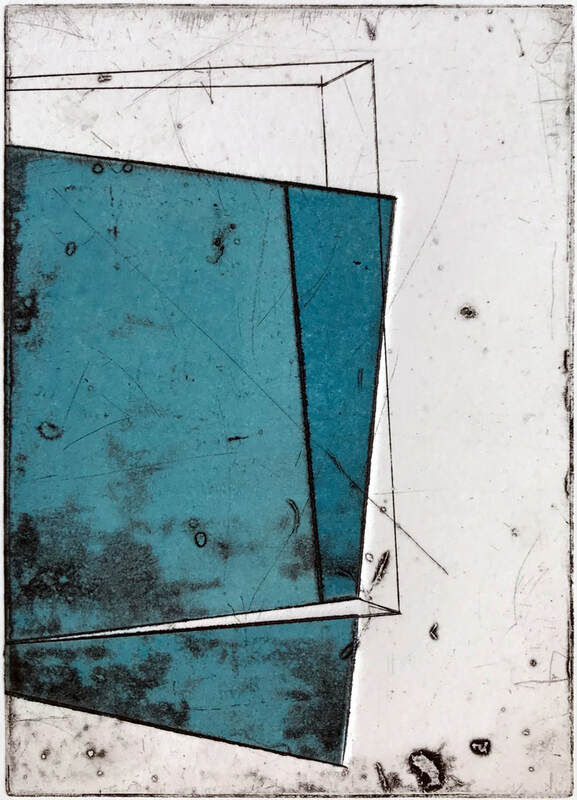 Ruum I/II, (tusche etching, aquatint, intaglio and relief stencil), 2017. Perspective lines, (installation detail), 2016. 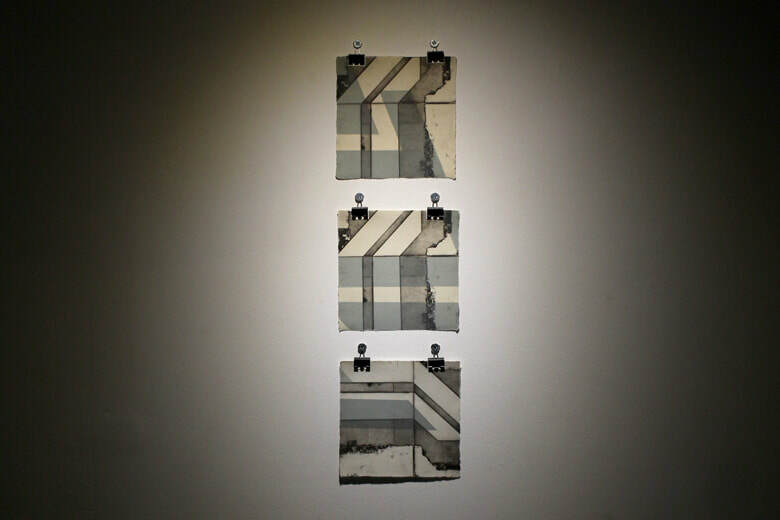 Tiled documentation (installation detail), 2016. 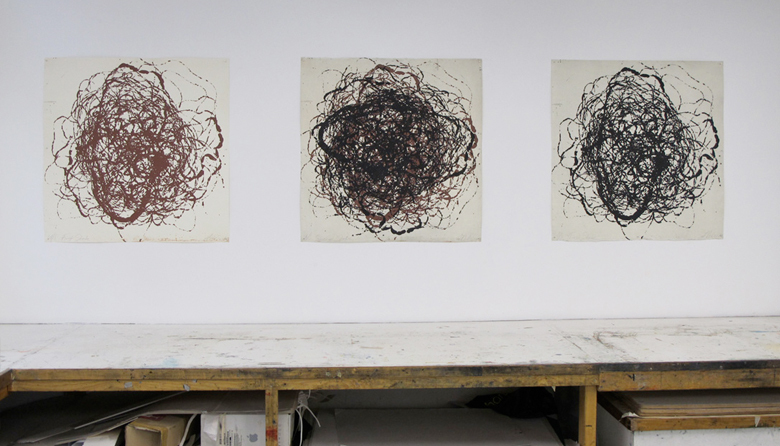 Painted room, (installation detail), 2016. 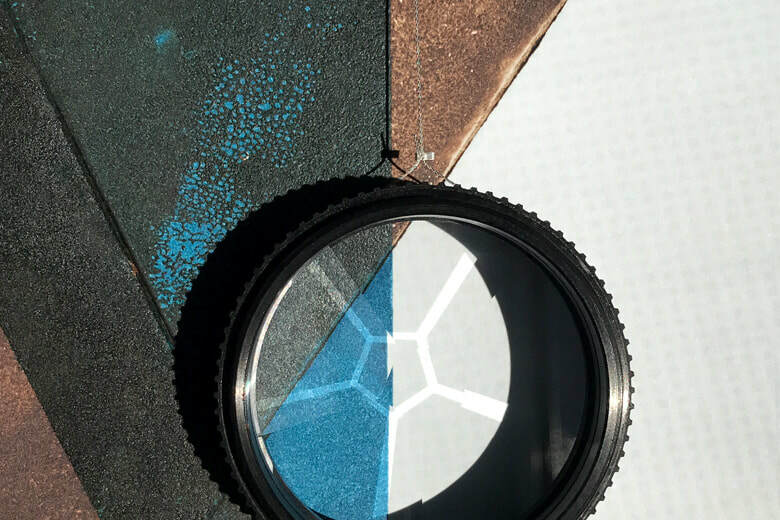 Monocular Vision I (installation detail), 2016. 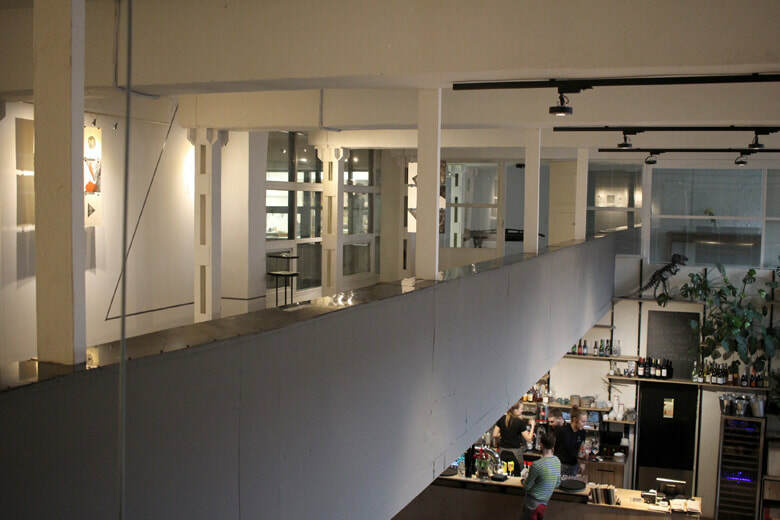 RMIT University, Building 49, 67 Franklin Street, Melbourne. 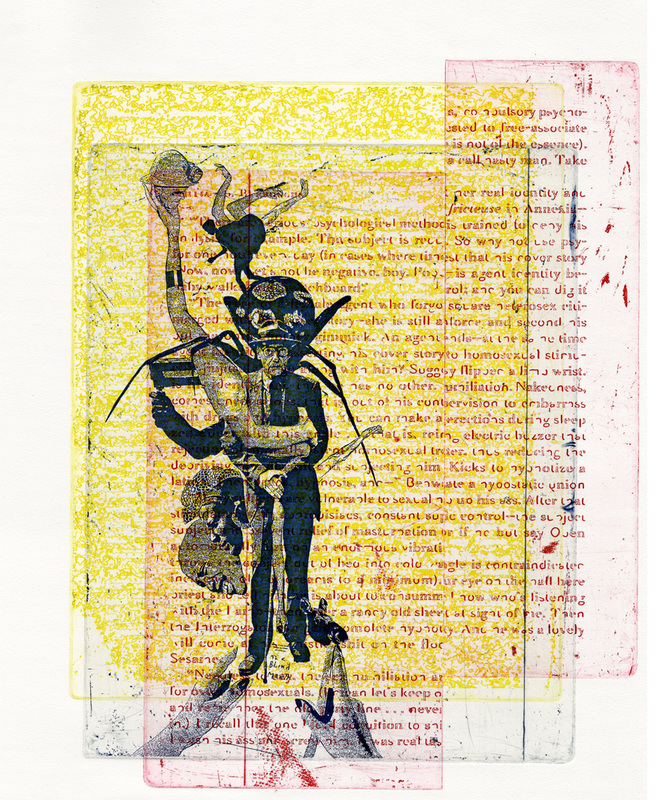 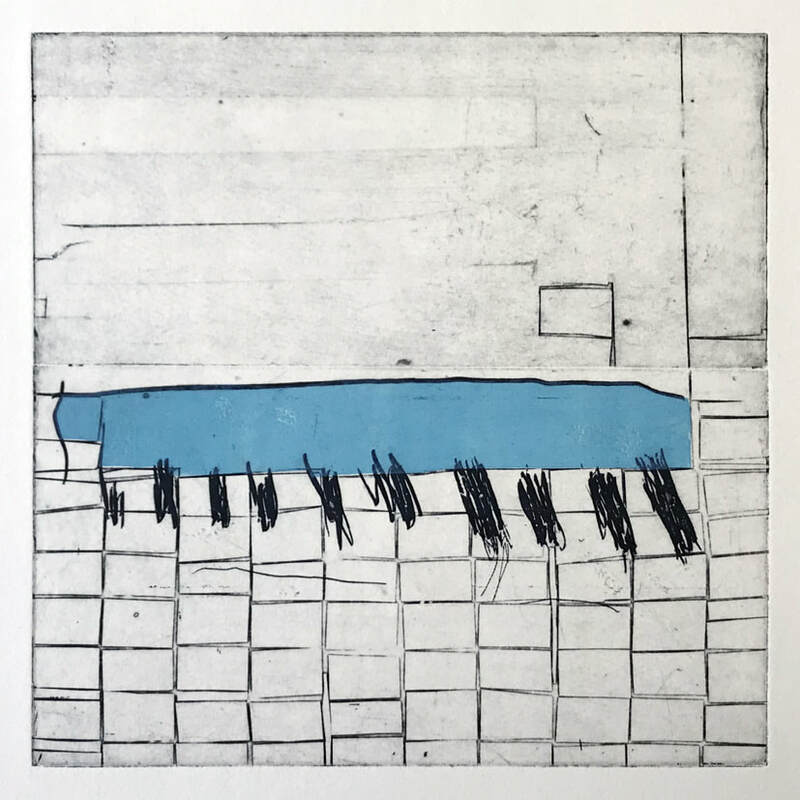 Using the premise of the matrix, from which all prints emanate, Out of the Matrix showcases a group of artists who activate an expanded understanding of print practice. 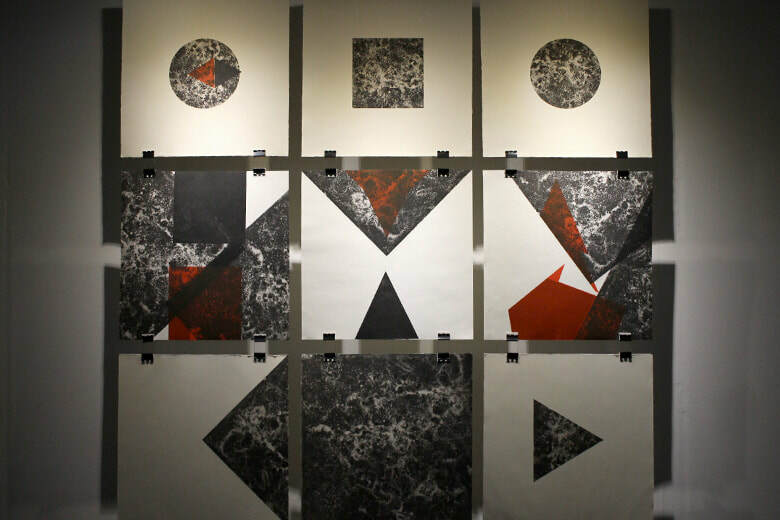 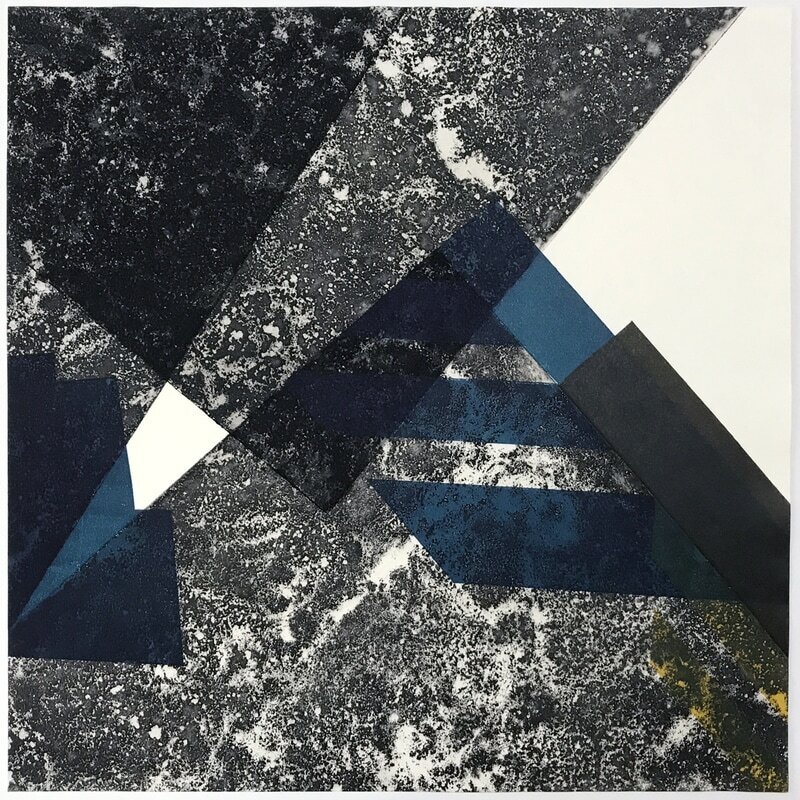 Curated by Dr Richard Harding, Senior Lecturer of Print Imaging Practice at RMIT, the intention of this exhibition is to evoke an extended sense of history the RMIT printmaking studio generates as much as evidence its present agency within the wider print community. 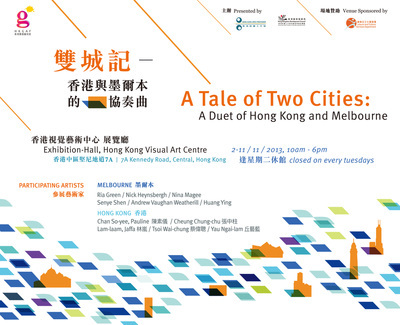 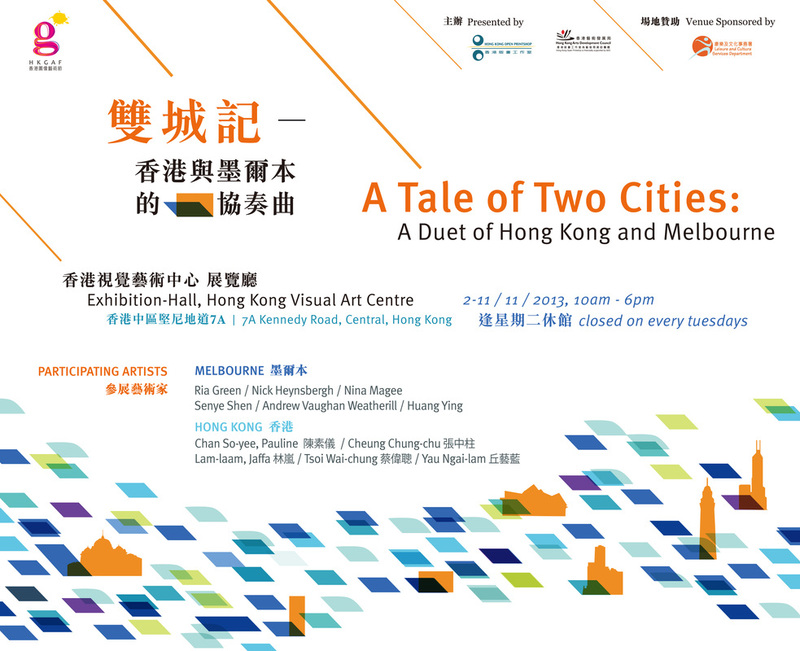 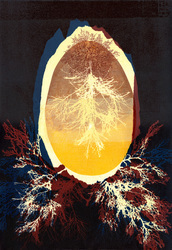 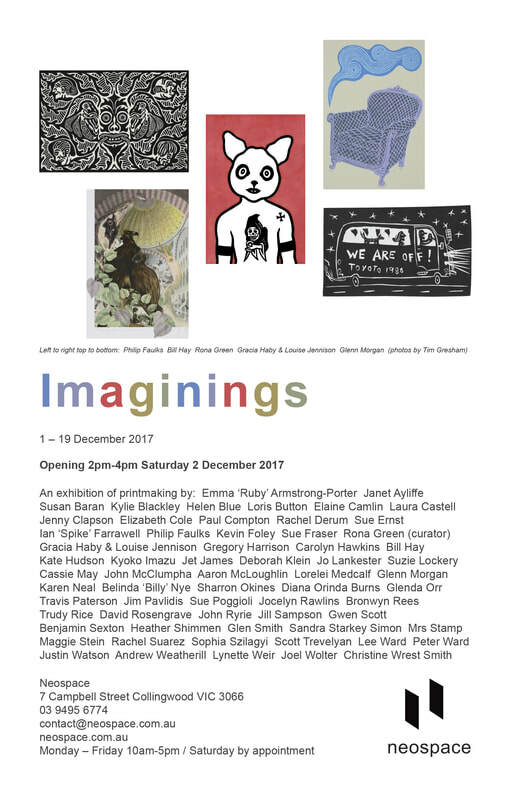 All practitioners in this exhibition have a connection to the RMIT printmaking studio either as staff or alumni. 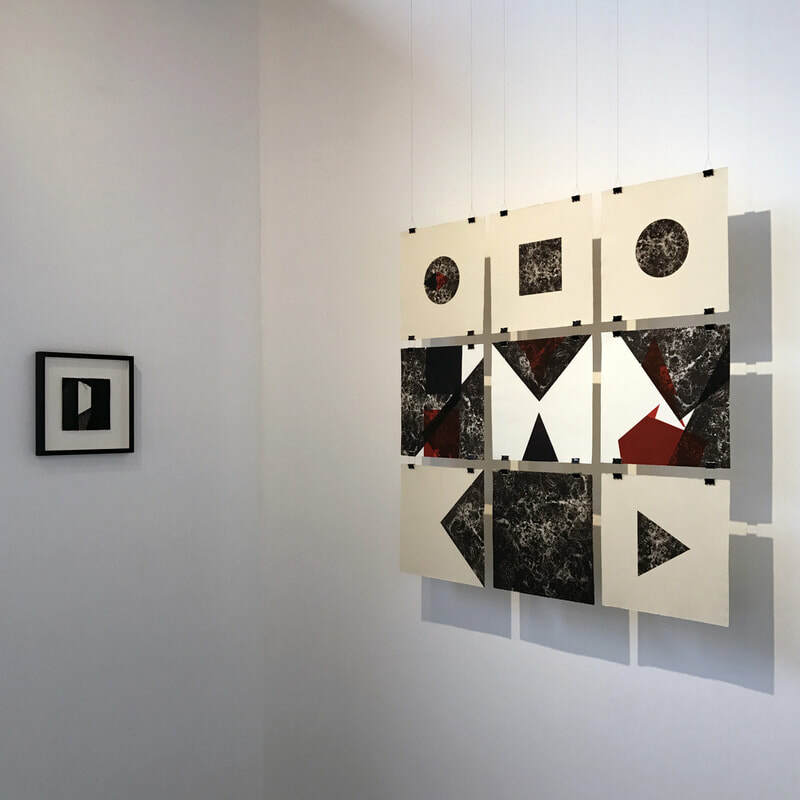 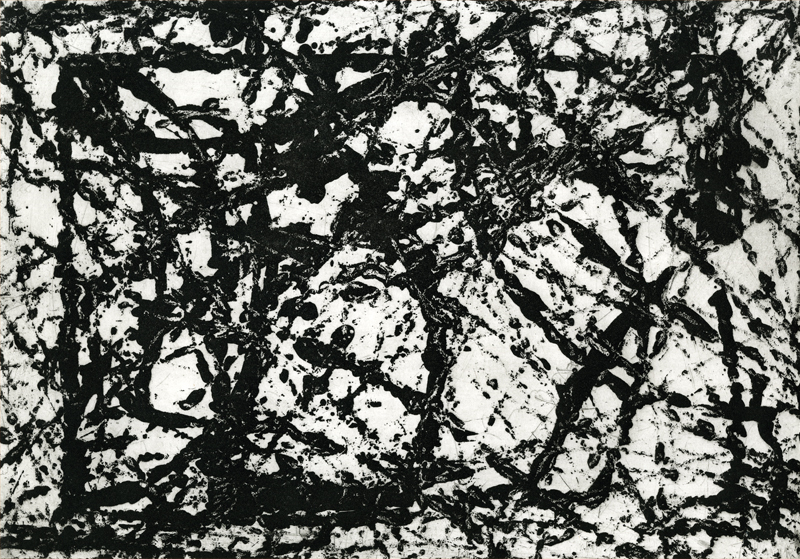 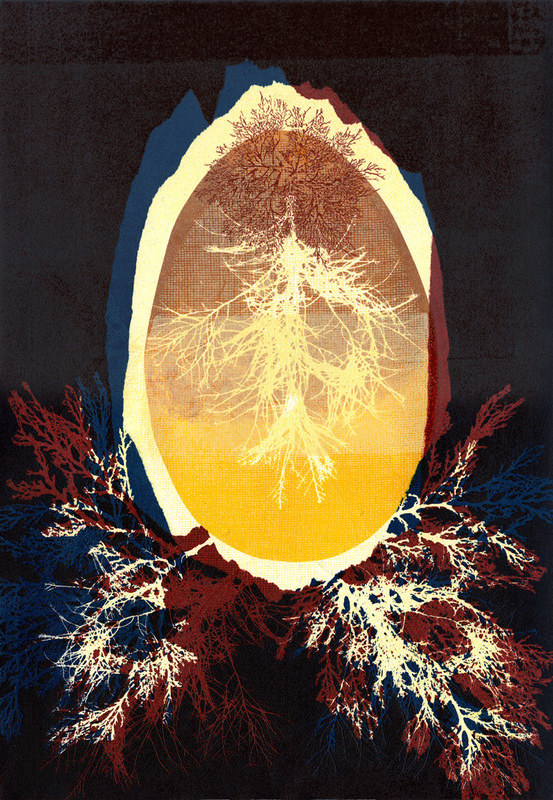 Oscillating between analogue, digital and spatial positions this exhibition privileges and extends print practice highlighting the universal nature of printmaking today. 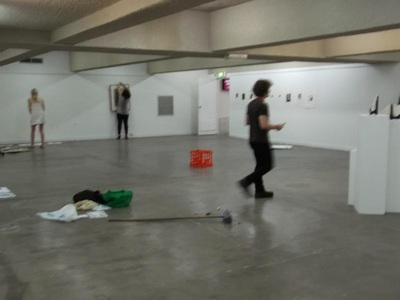 RMIT Gallery 344 Swanston Street, Melbourne, Victoria. 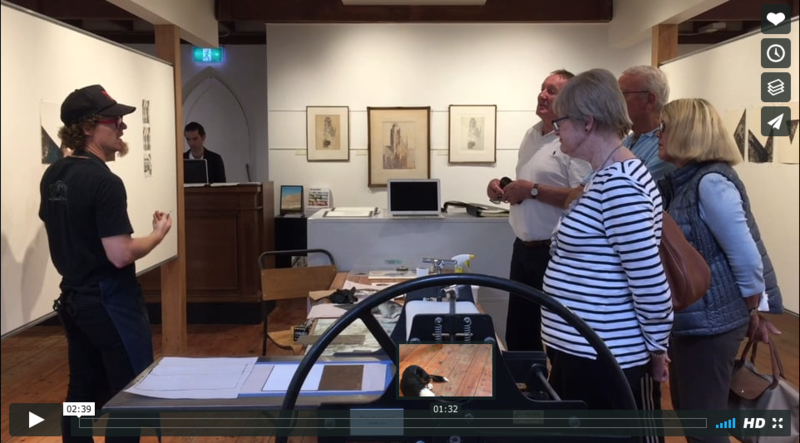 Artist in residence for Streeton Prints exhibition. 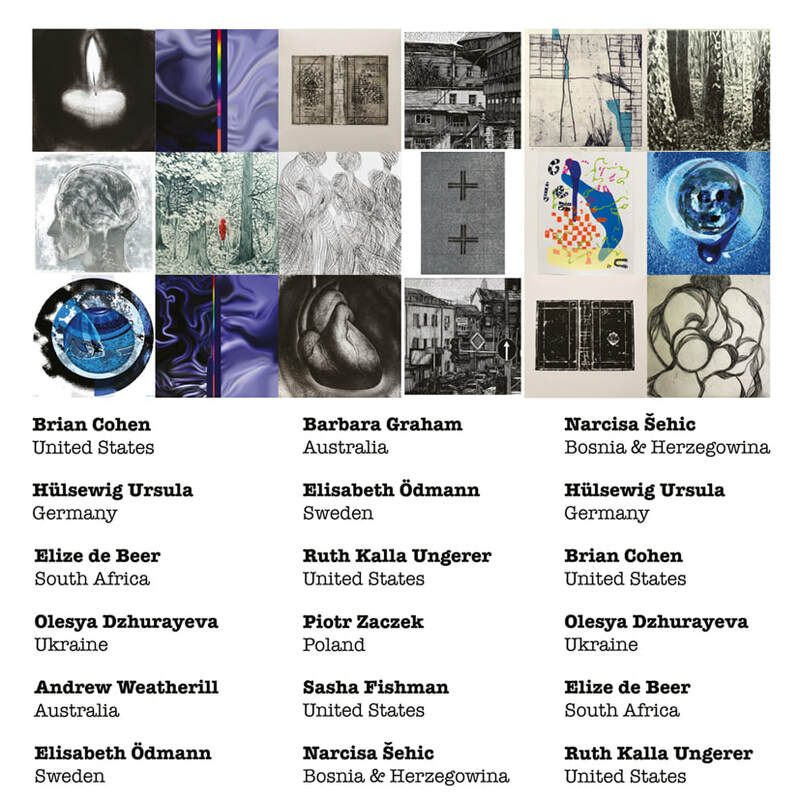 Exhibition Dates: November 3 to 28.
making the un aims to document the experience and process of making work. 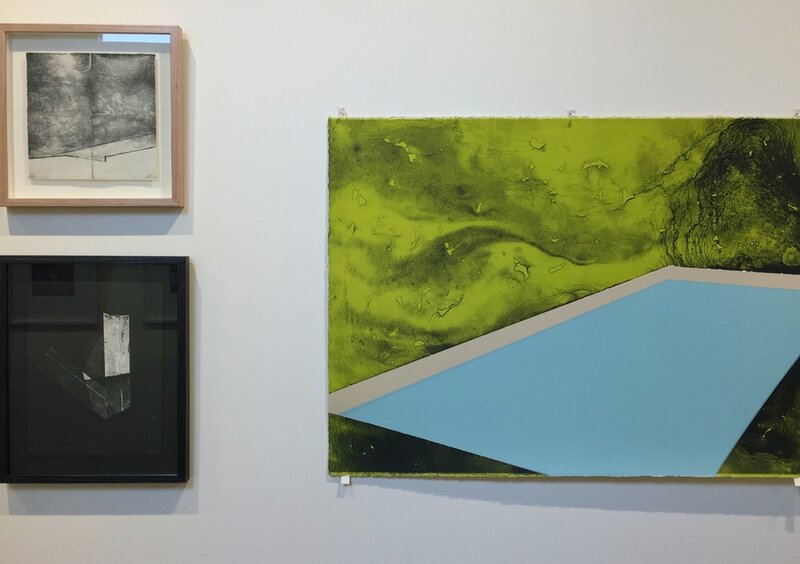 It is a bringing together of materials that activate the gallery space to investigate how the viewer relates and interacts to the individual artists work. 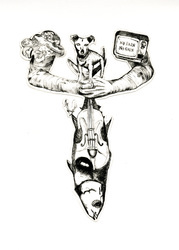 The un denotes the absence of a state. 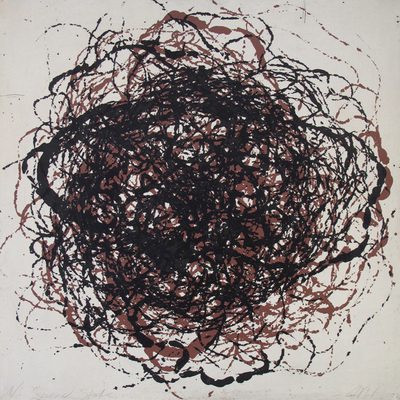 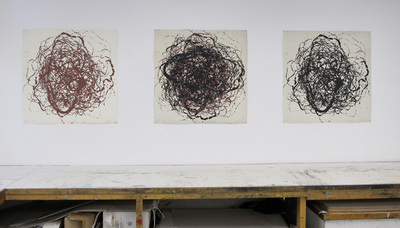 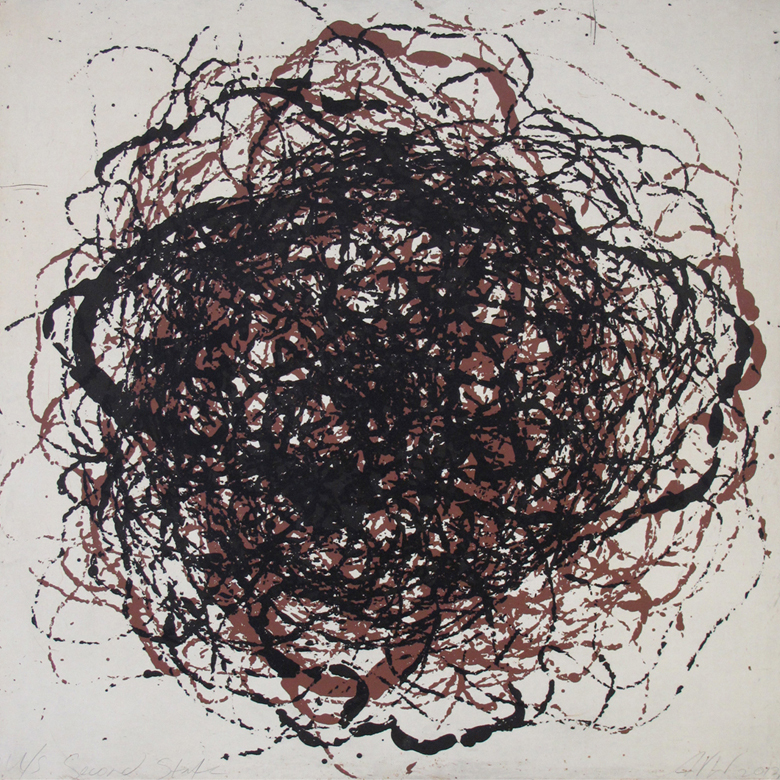 Sometimes it is necessary to unmake in order to create a resolved artwork. 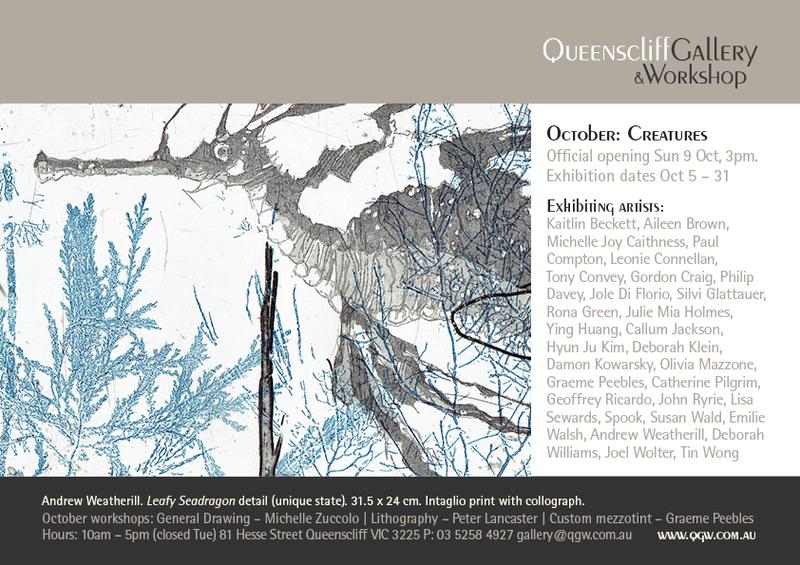 Artists: Nick Hackett, Kaitlyn Gibson, Oliver Hutchison and Justine Austen. 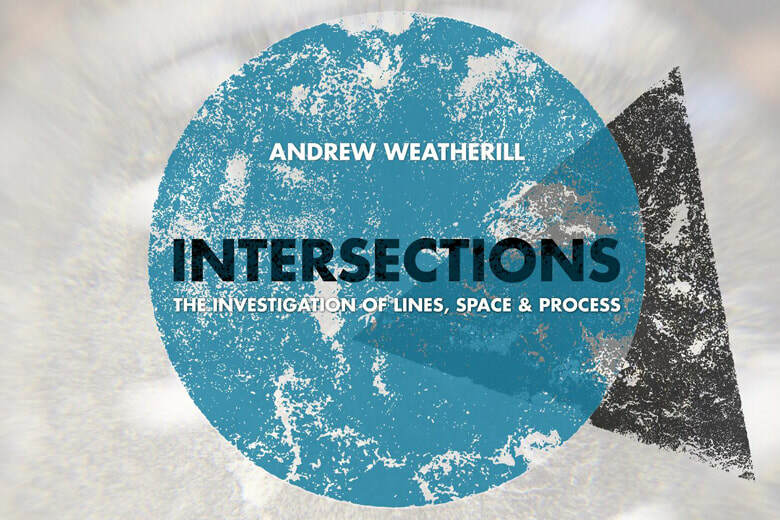 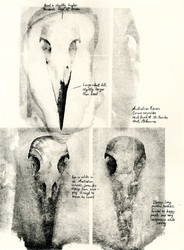 Curator and artists: Andrew Weatherill. 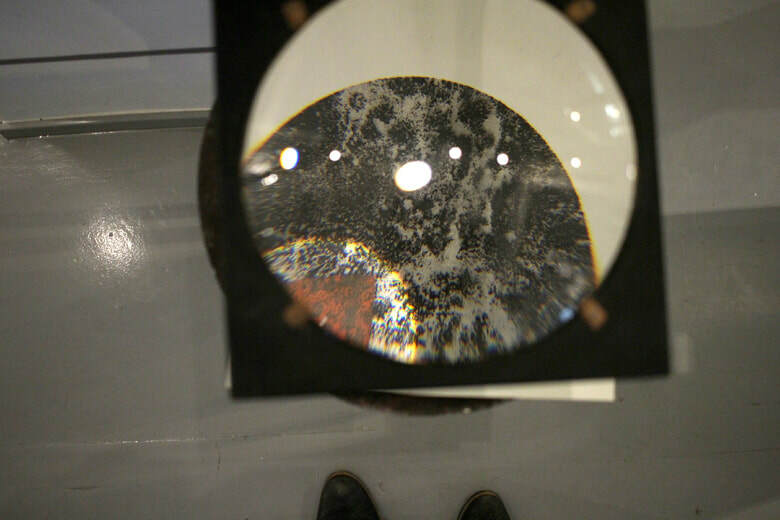 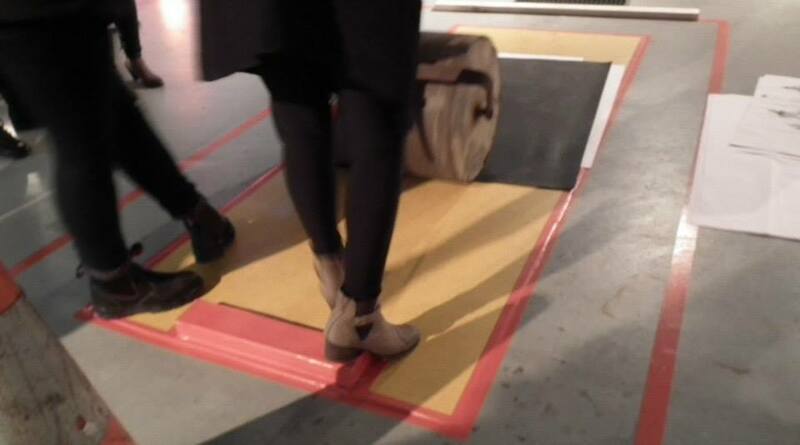 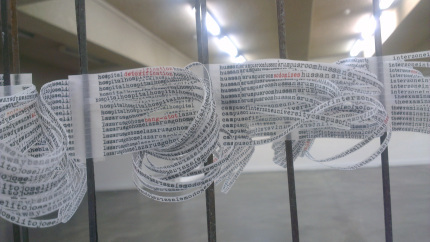 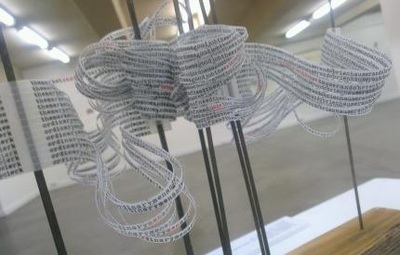 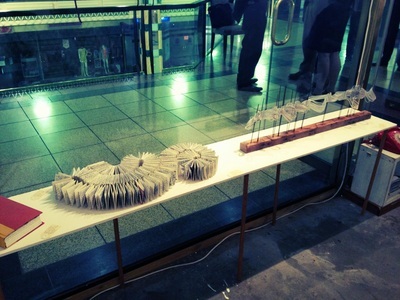 Flotsam + Jetsam, 2013, First Site Gallery, RMIT University.